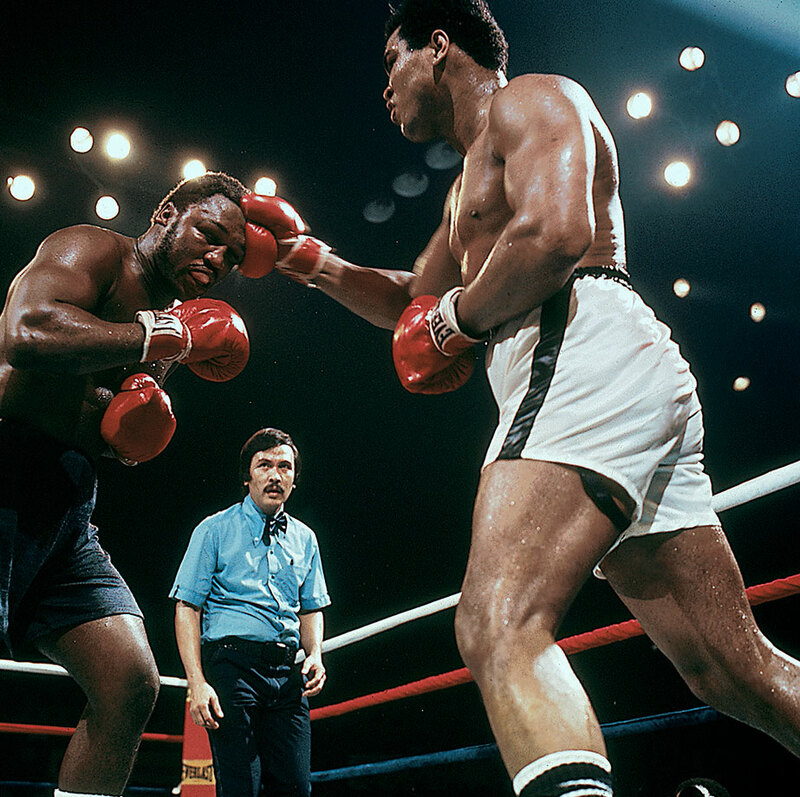 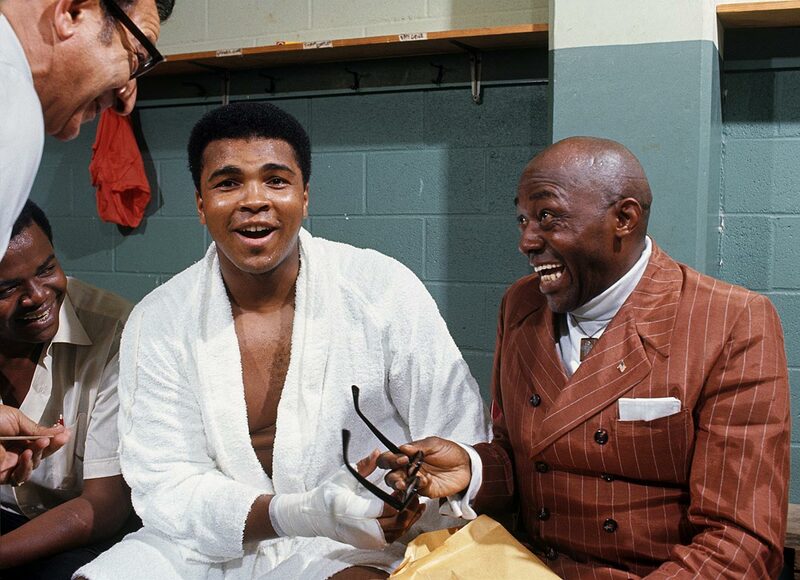 The Warriors and Cavaliers are preparing for Game 2 of the NBA Finals, but all LeBron James and Co. could talk about was the death of boxing legend Muhammad Ali. 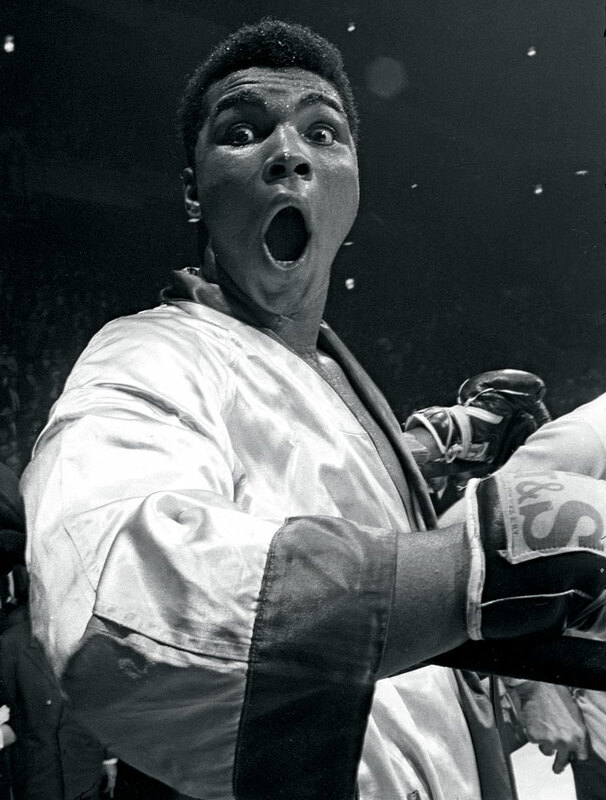 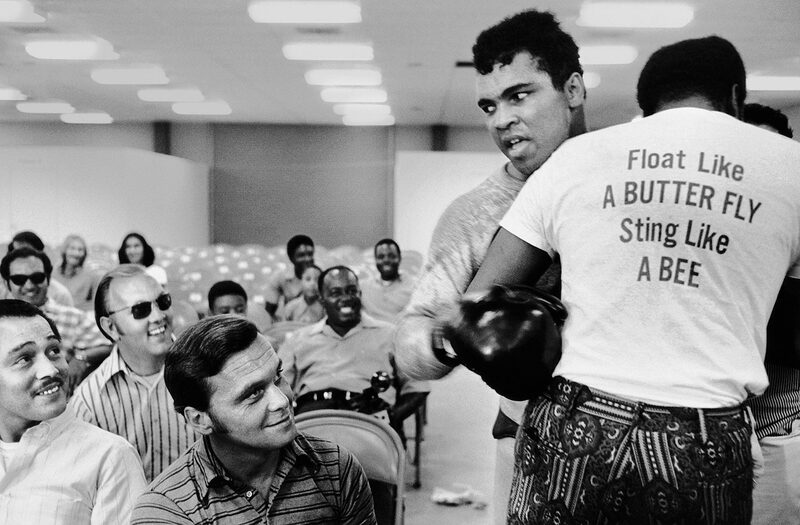 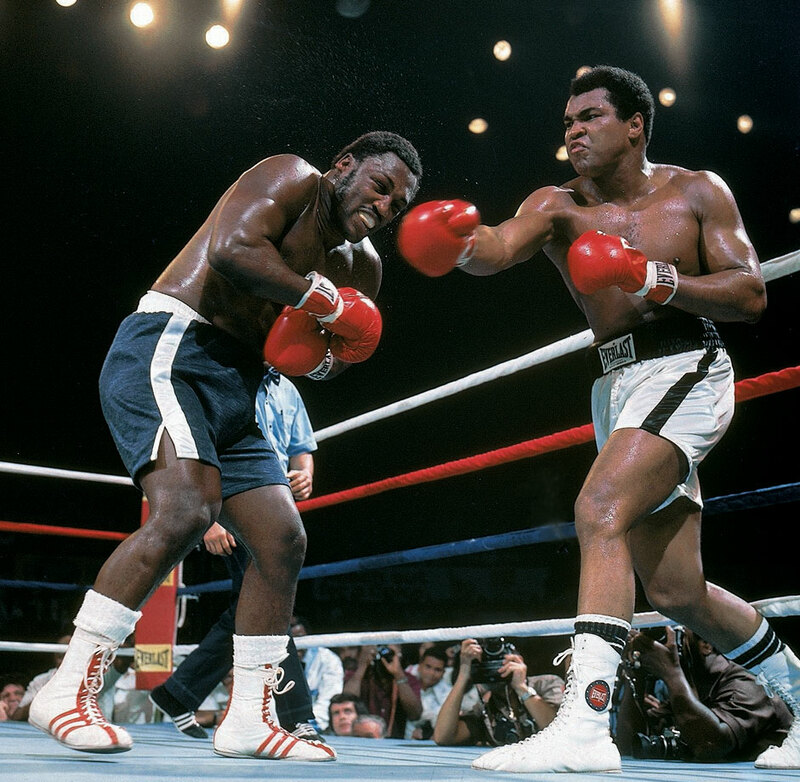 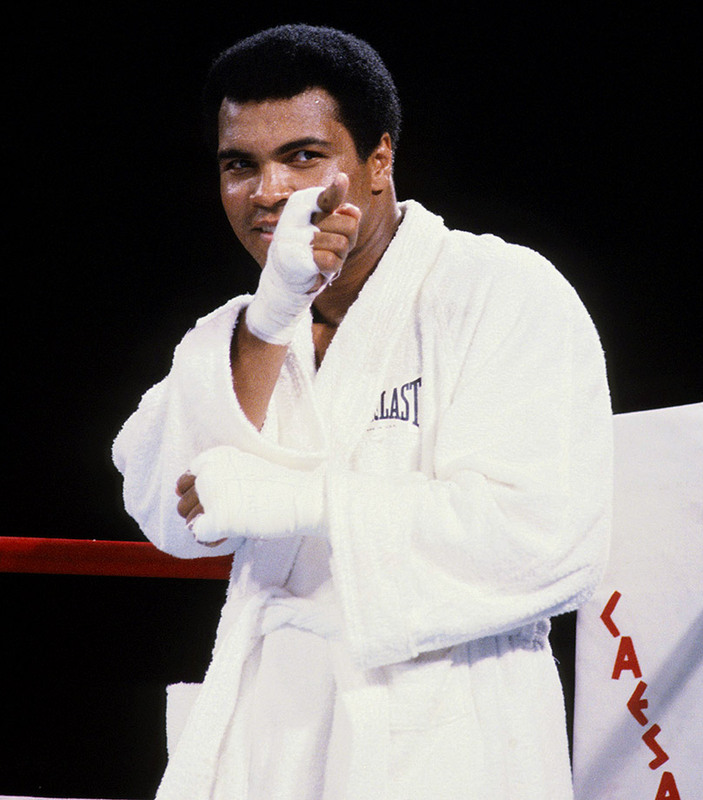 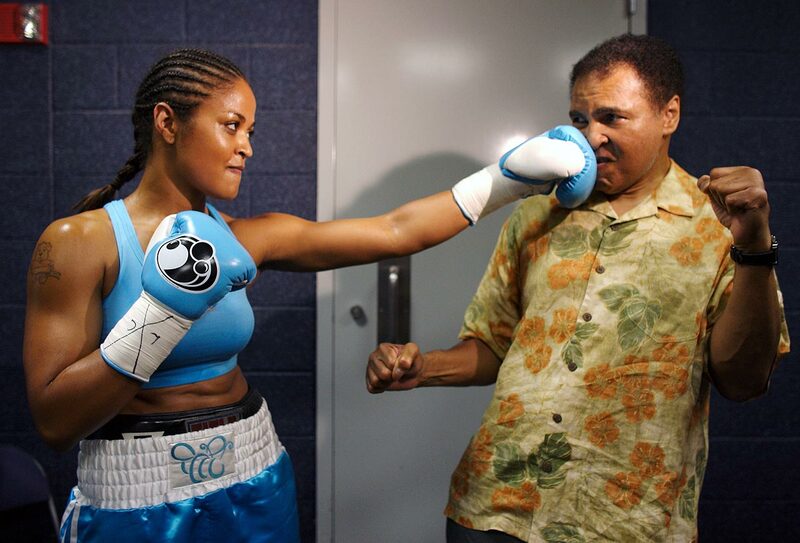 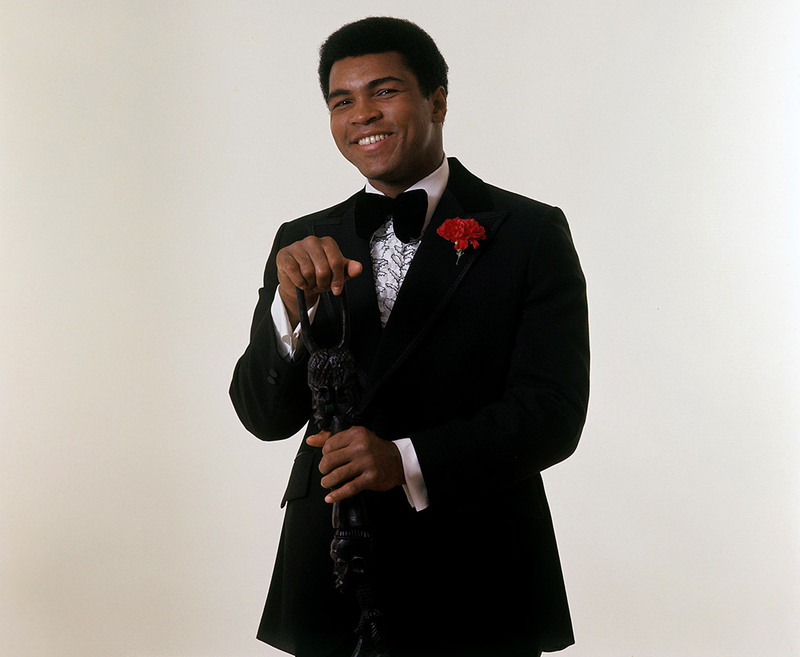 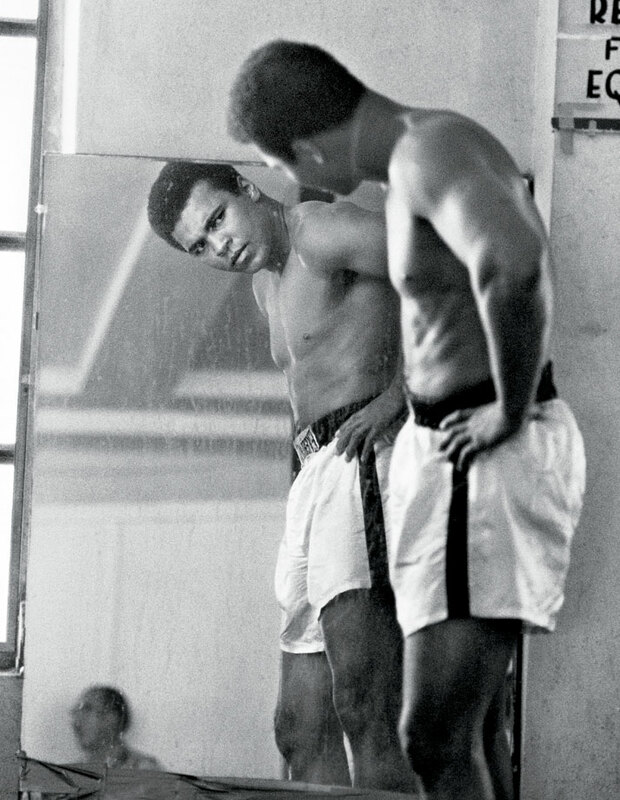 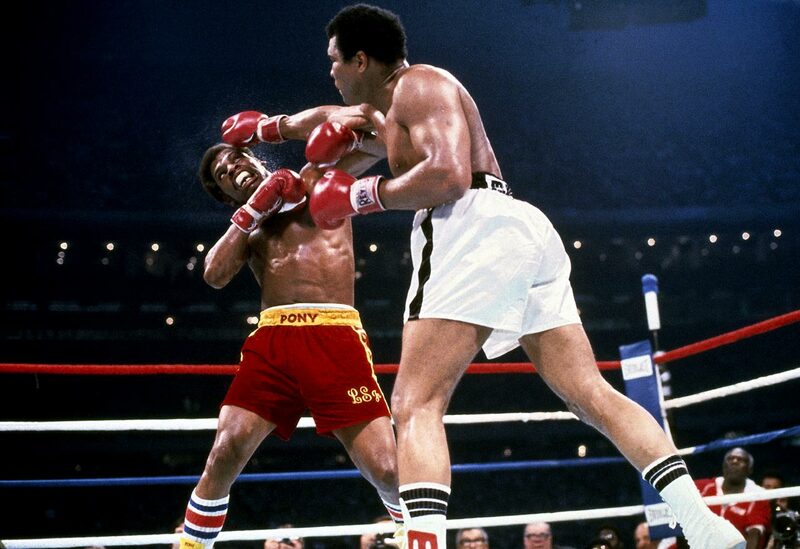 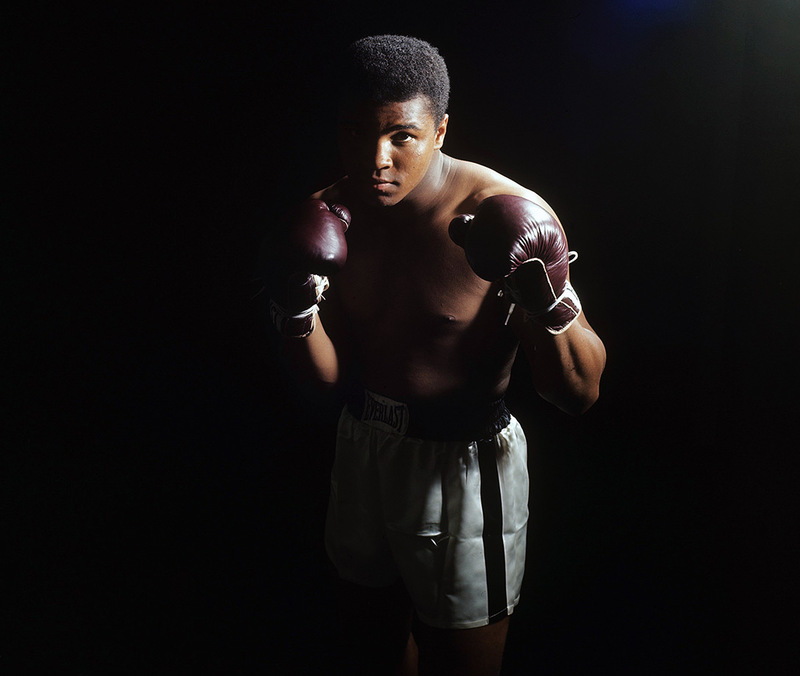 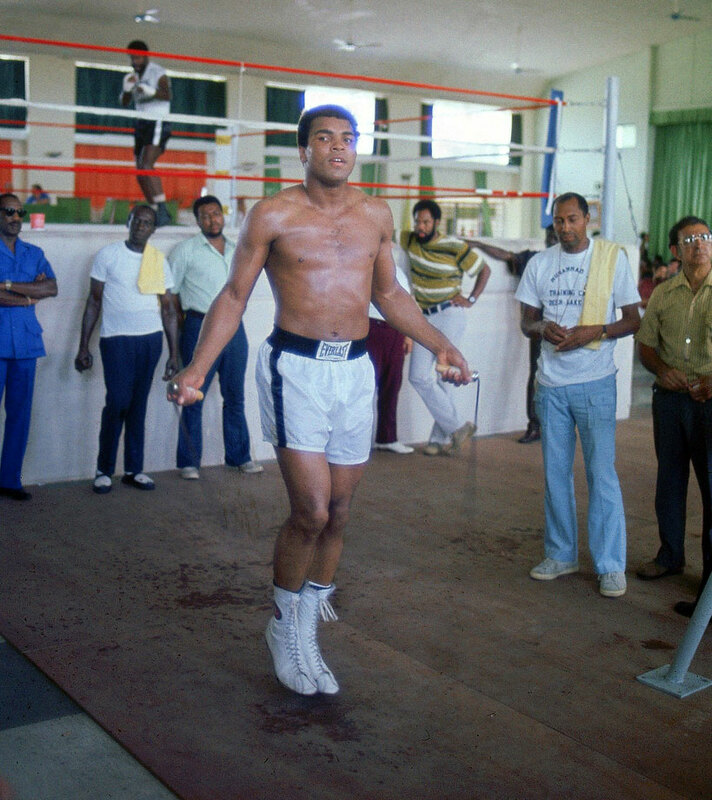 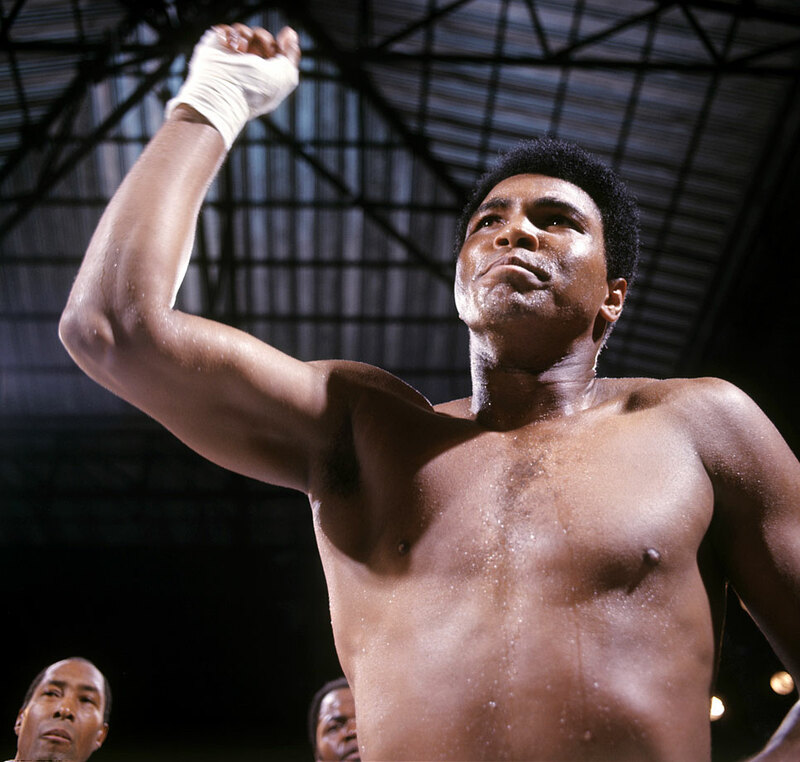 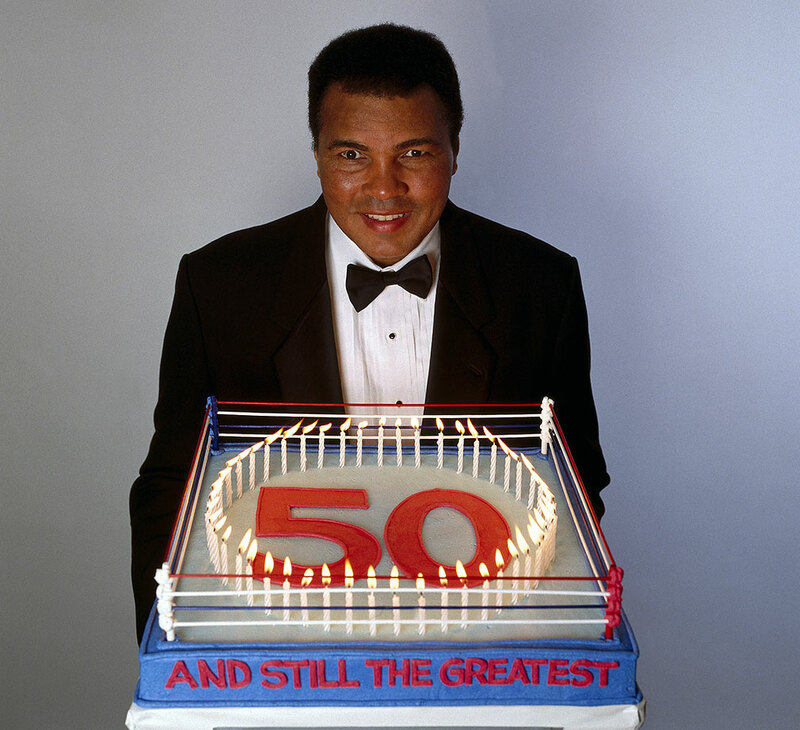 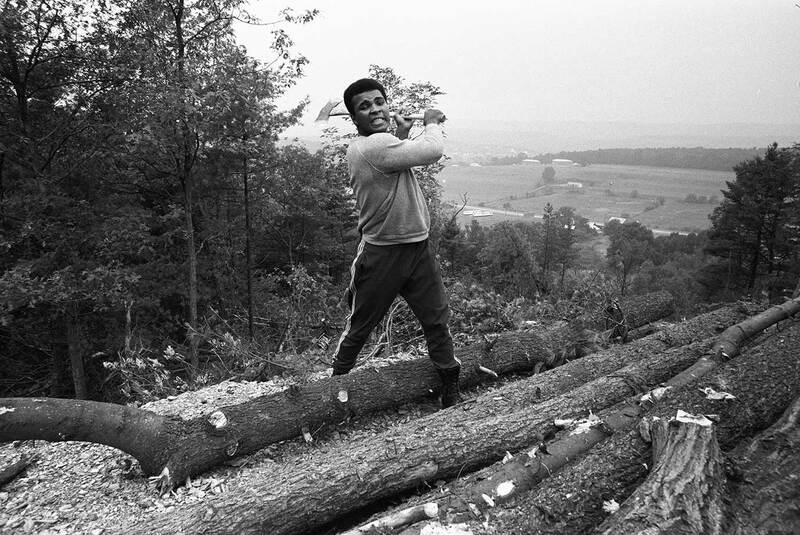 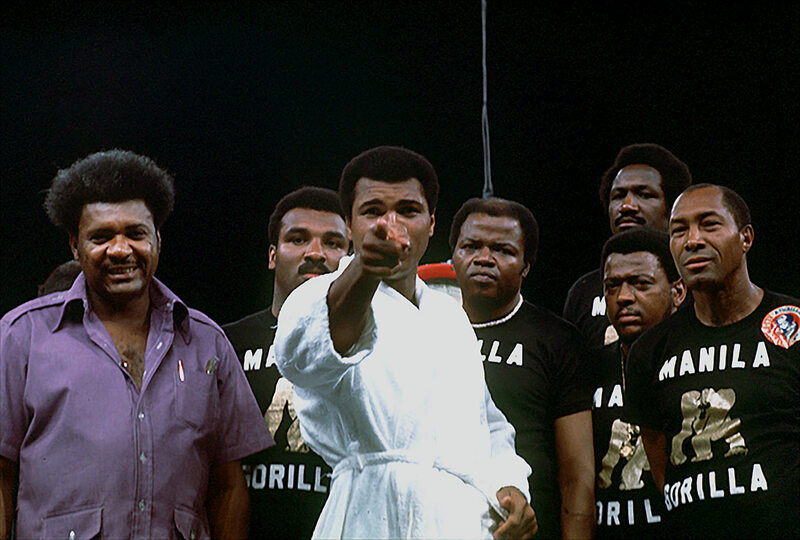 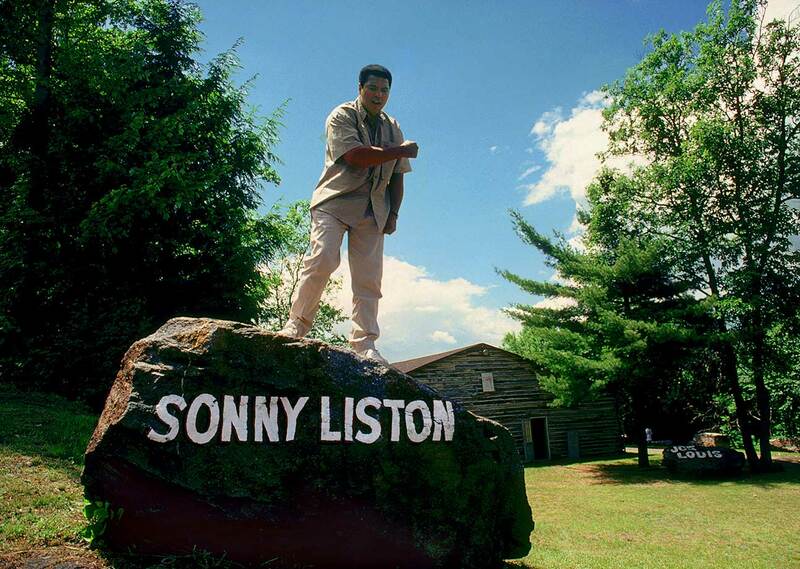 The Cavaliers forward, one of the most famous athletes of his generation, referred to Ali as “the first icon” and “The Greatest of Alltime” as he saluted the three-time world heavyweight champion’s impact on society. 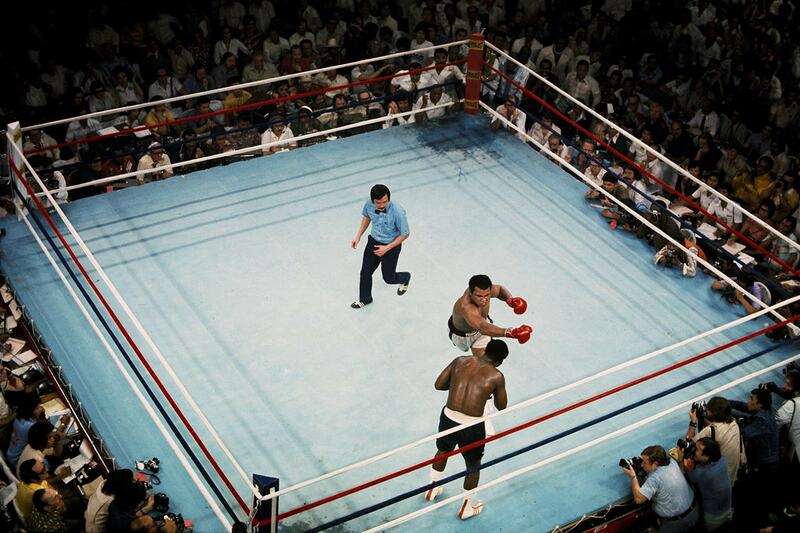 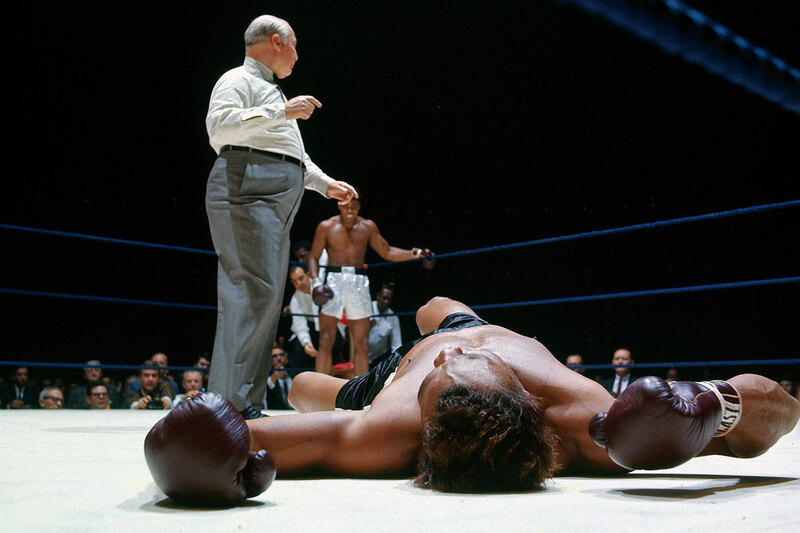 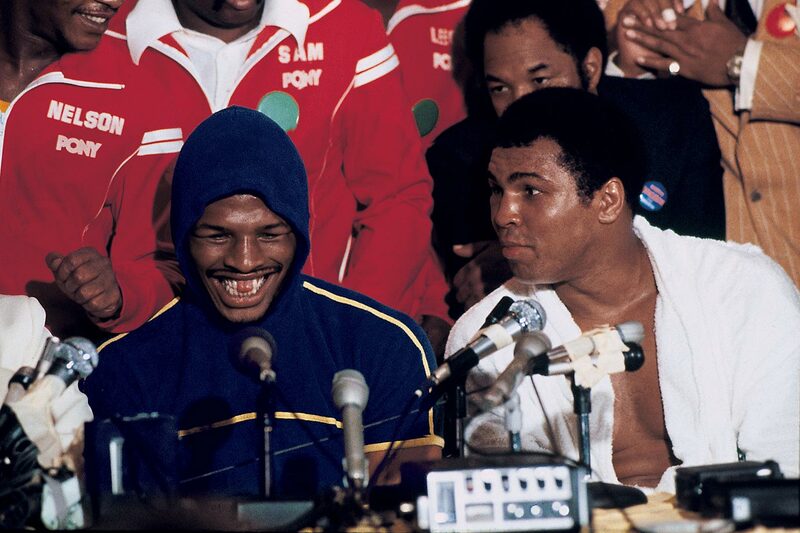 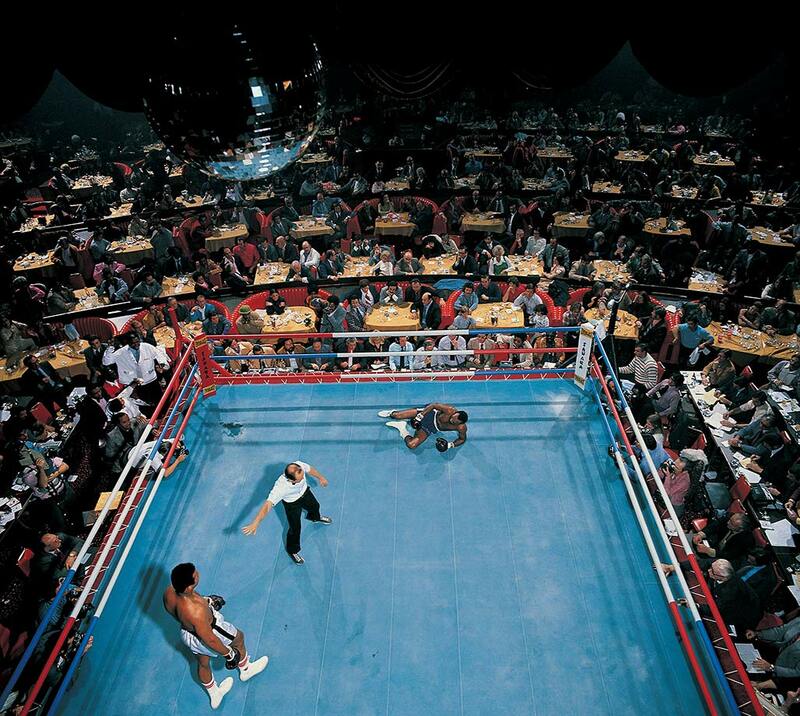 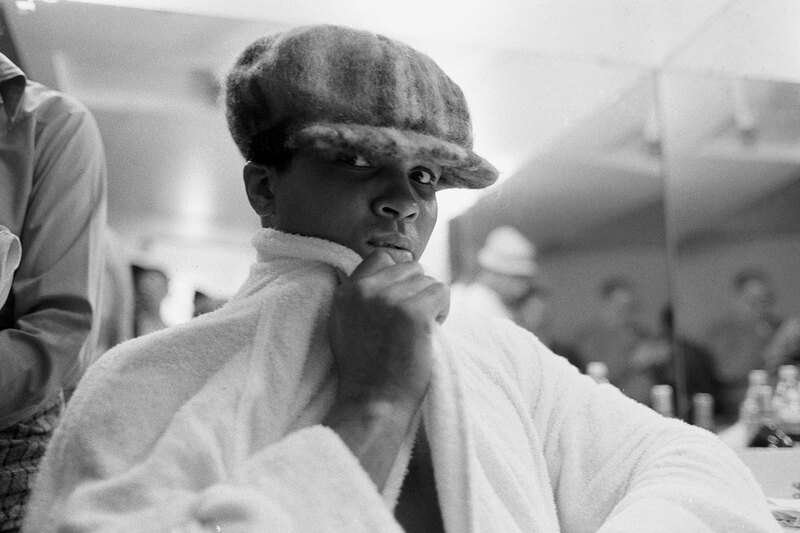 “We knew how great of a boxer he was, but I think that was only 20% of what made him as great as he was,” James said. 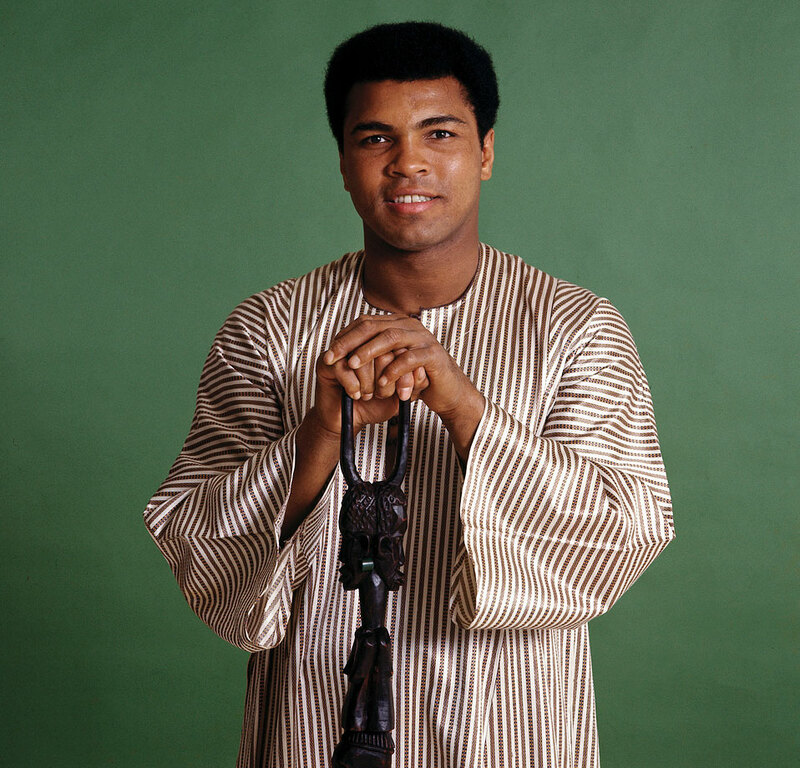 “[He] basically had to give up a belt and [relinquish] everything that he had done because of what he believed in and ended up in jail because of his beliefs. 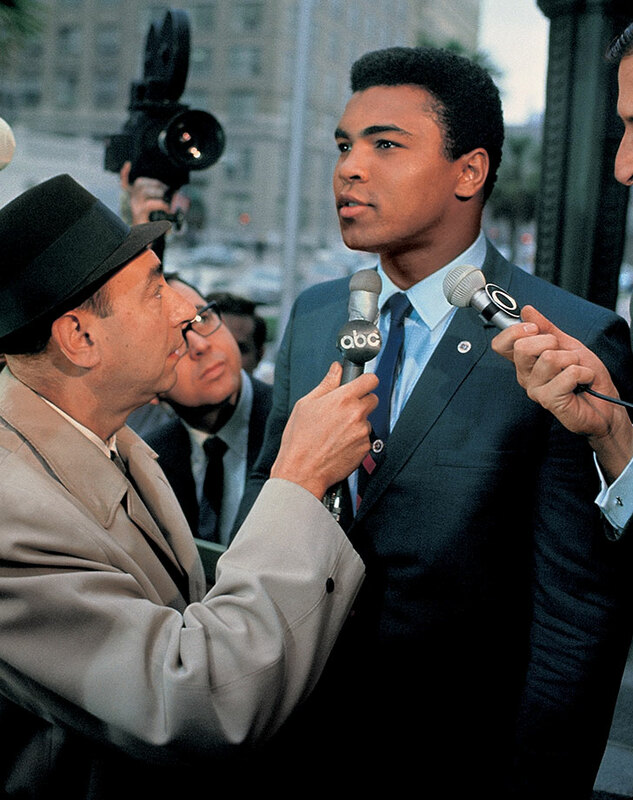 It’s a guy who stood up for so many different things throughout the times where it was so difficult for African-Americans to even walk in the streets. 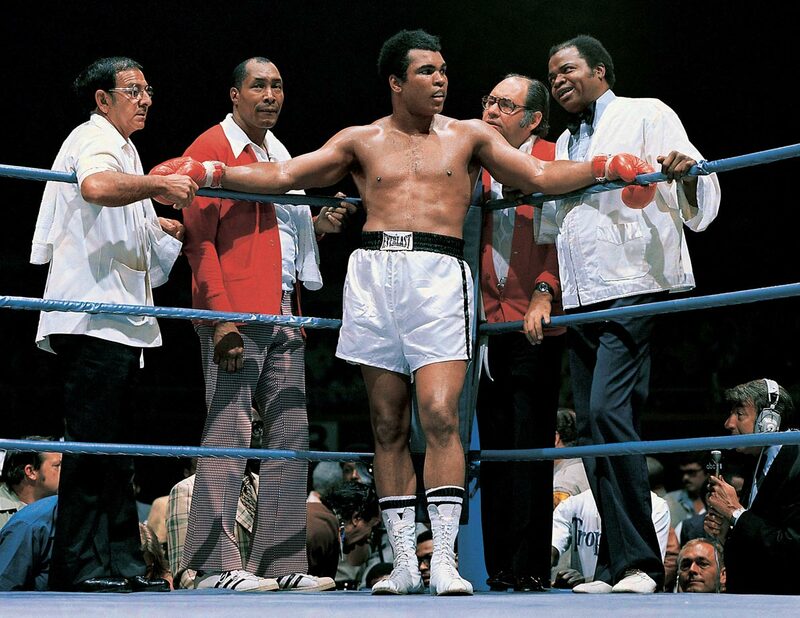 James, who spoke before Cleveland’s practice in advance of Sunday’s Game 2 of the Finals against Golden State, appeared emotional as he described watching tape of Ali’s “Thrilla in Manila” with friends on Friday night. 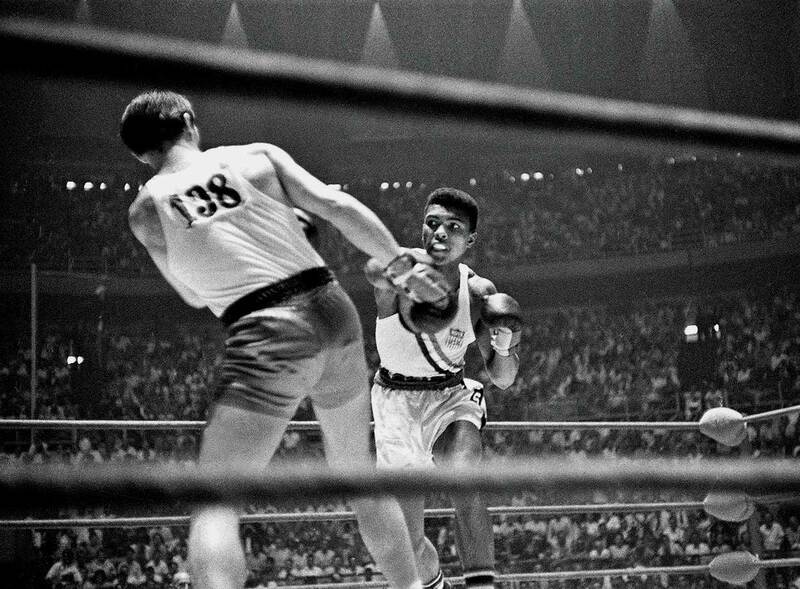 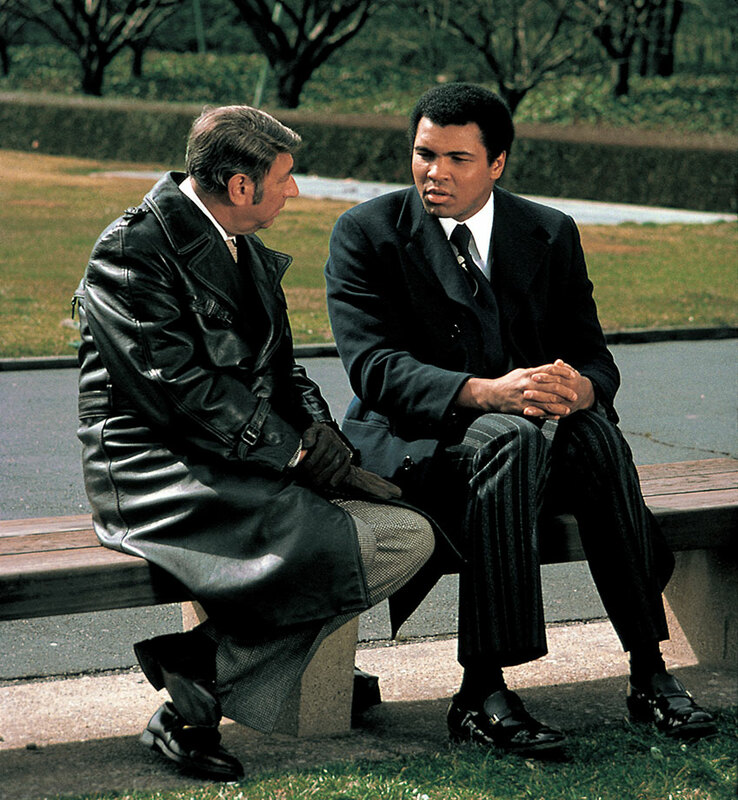 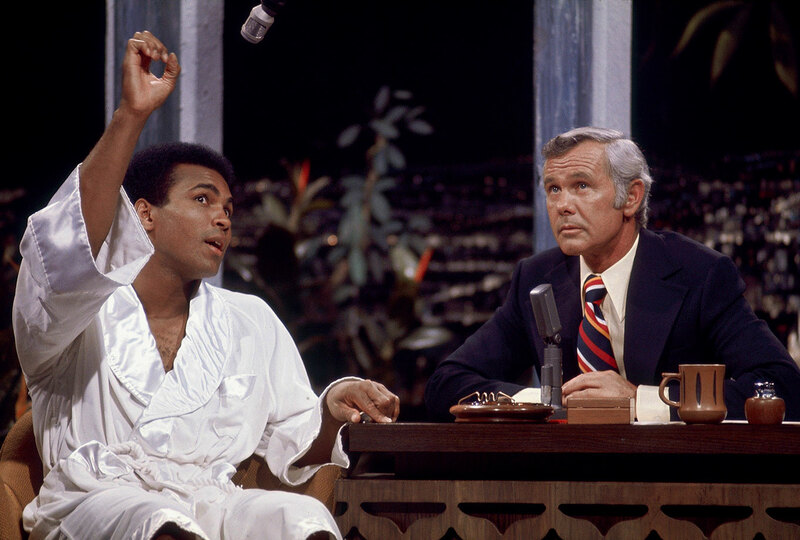 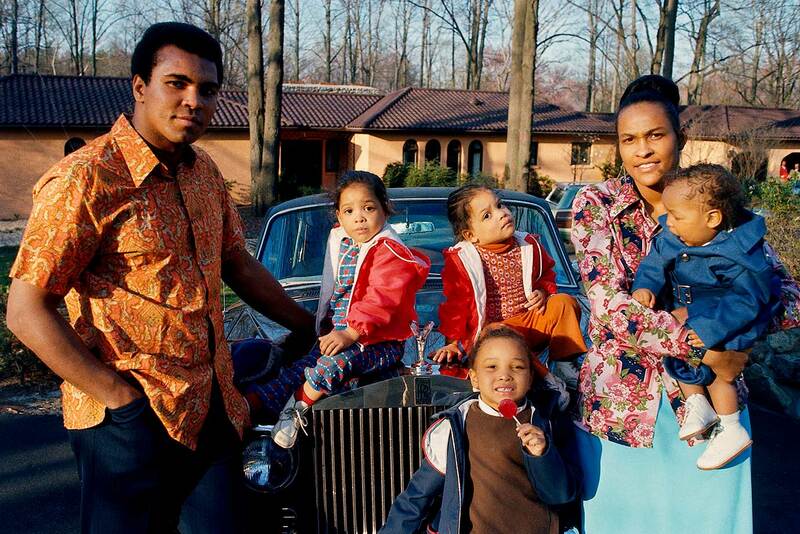 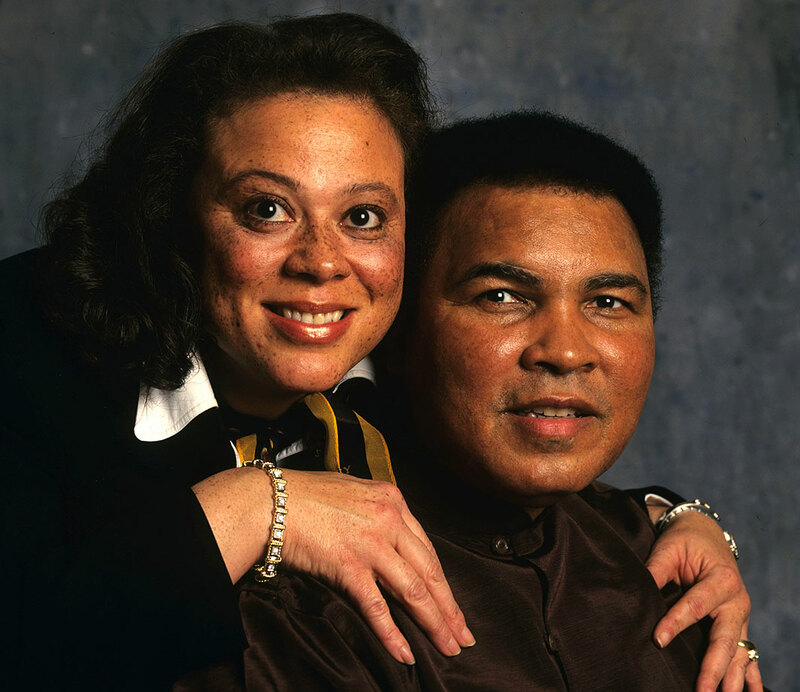 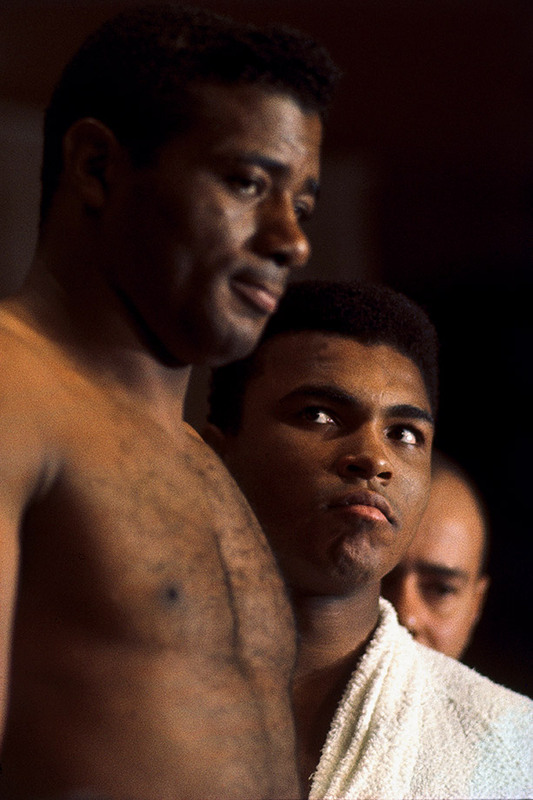 It was clear Ali had impacted James on many levels: man to man, athlete to athlete, star to star and leader to leader. 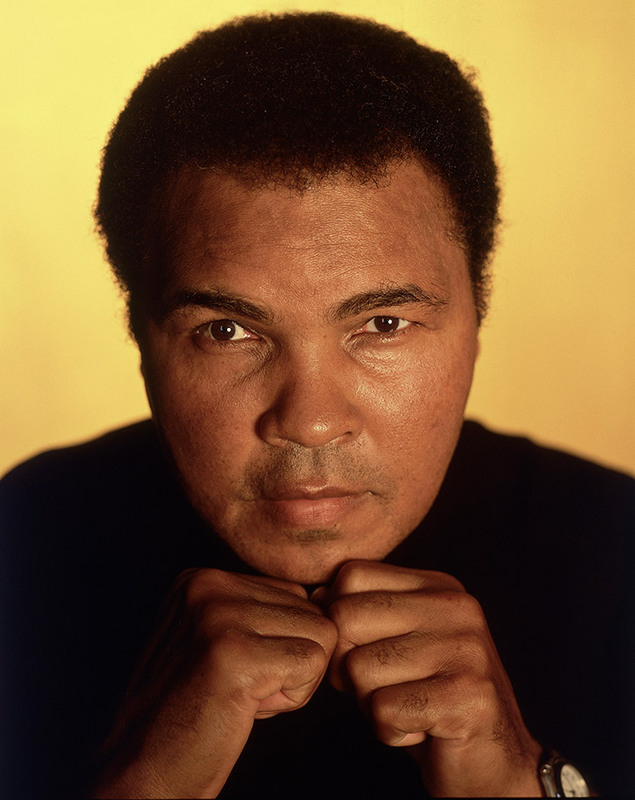 James told reporters that he felt it was his “duty to carry on the legacy” of leaders like Ali by speaking out on societal issues, like the Trayvon Martin and Eric Garner cases. 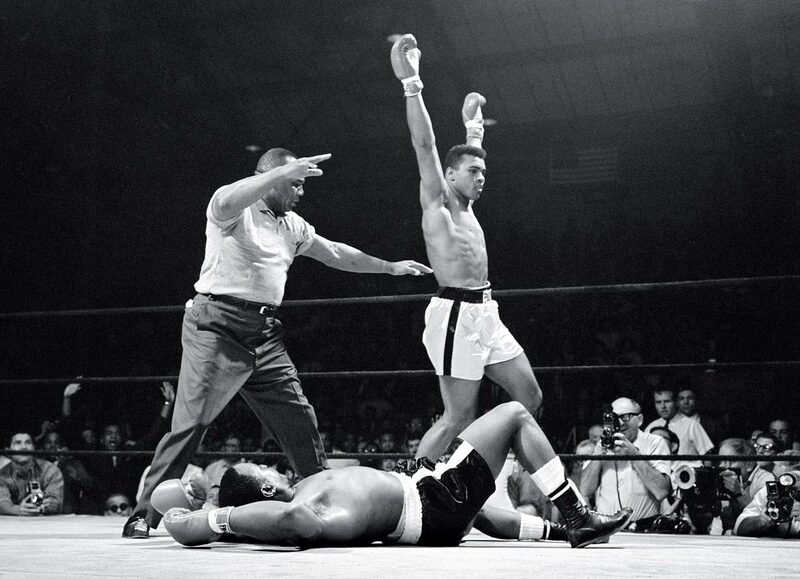 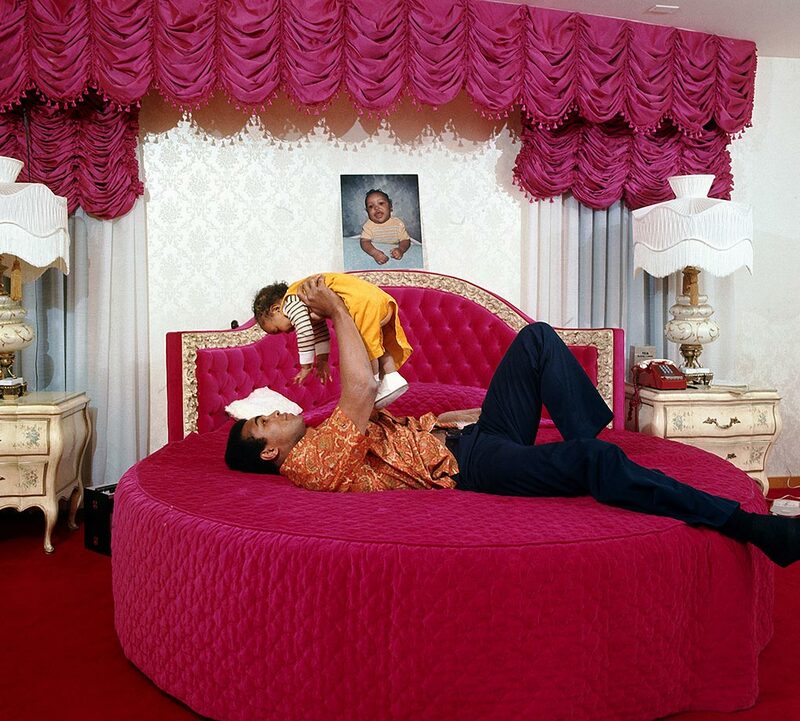 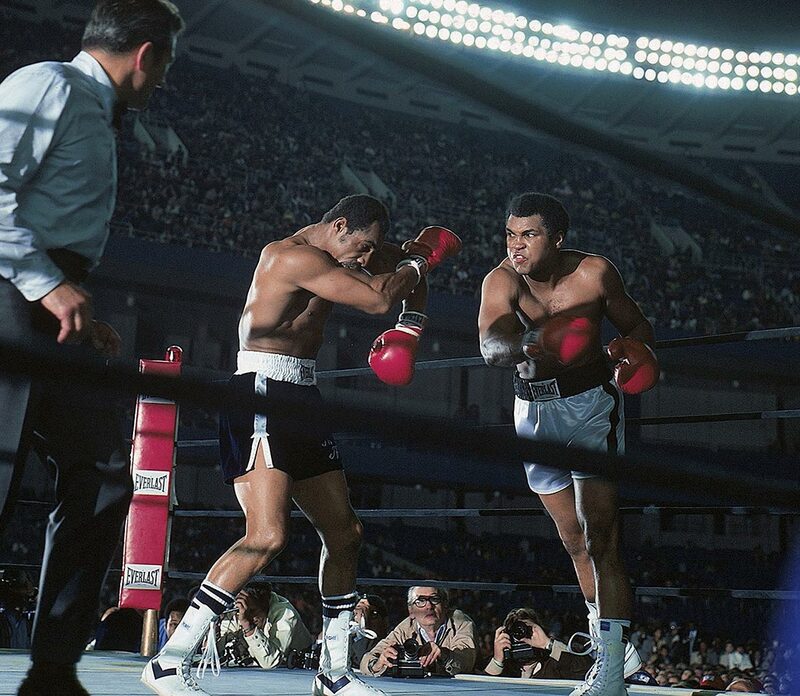 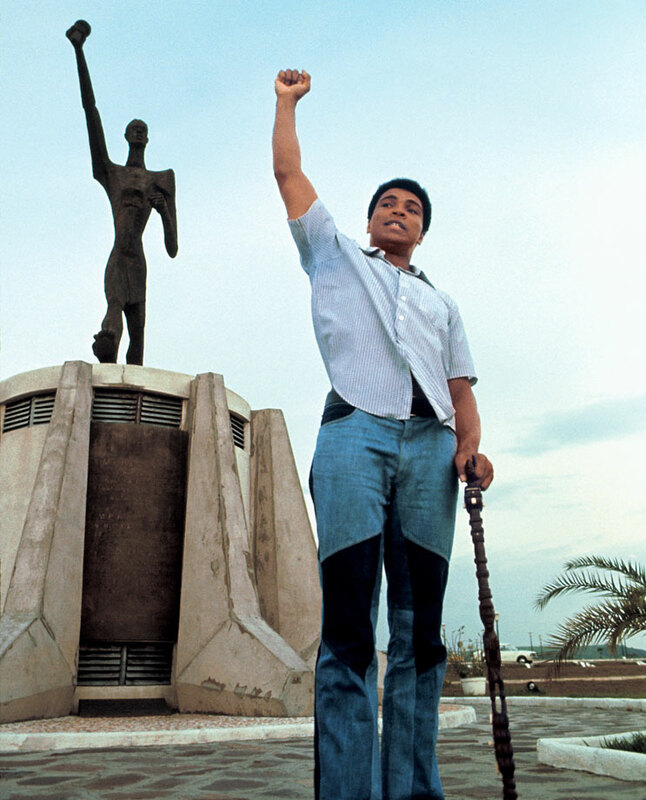 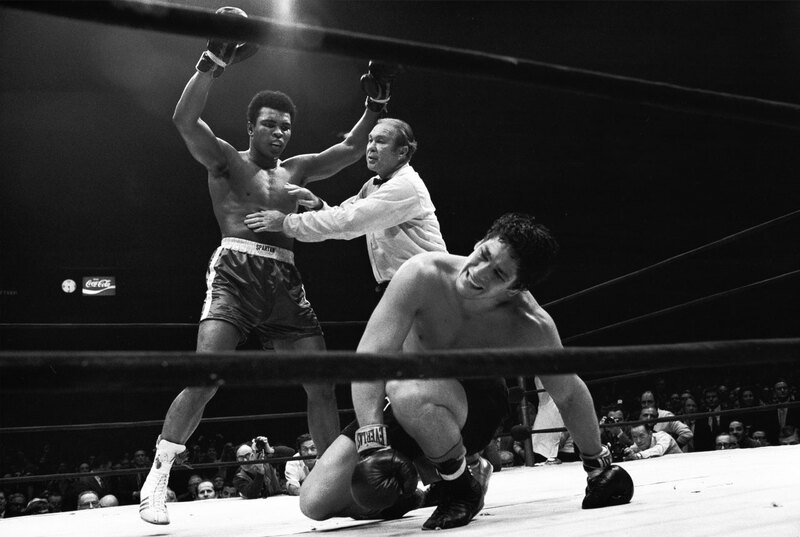 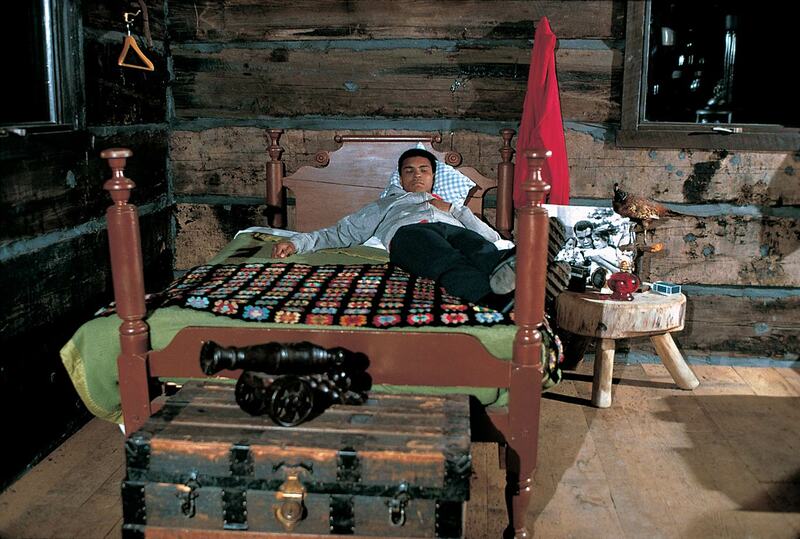 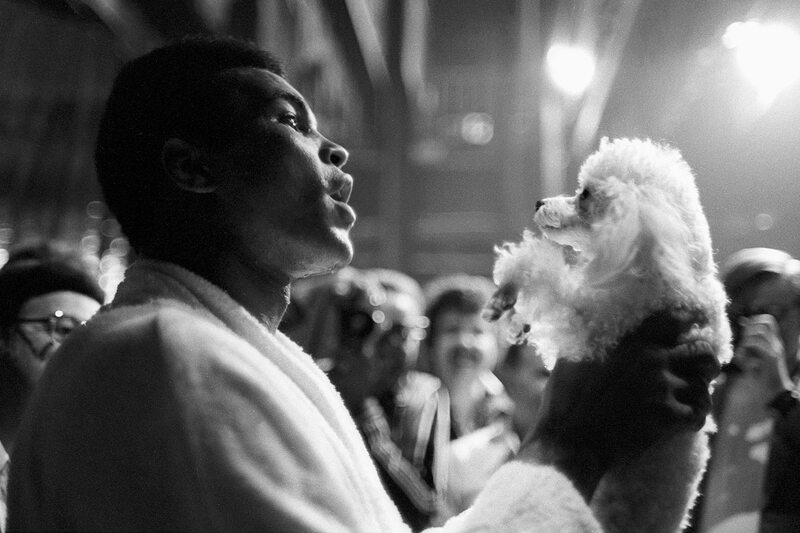 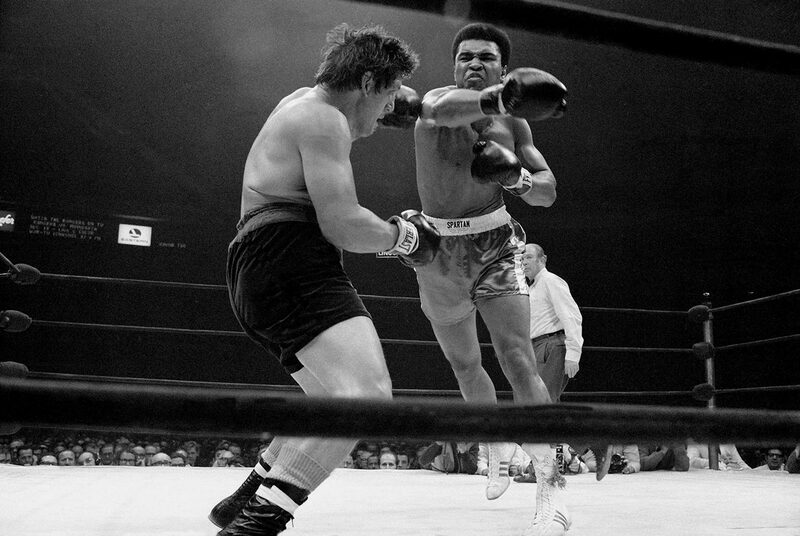 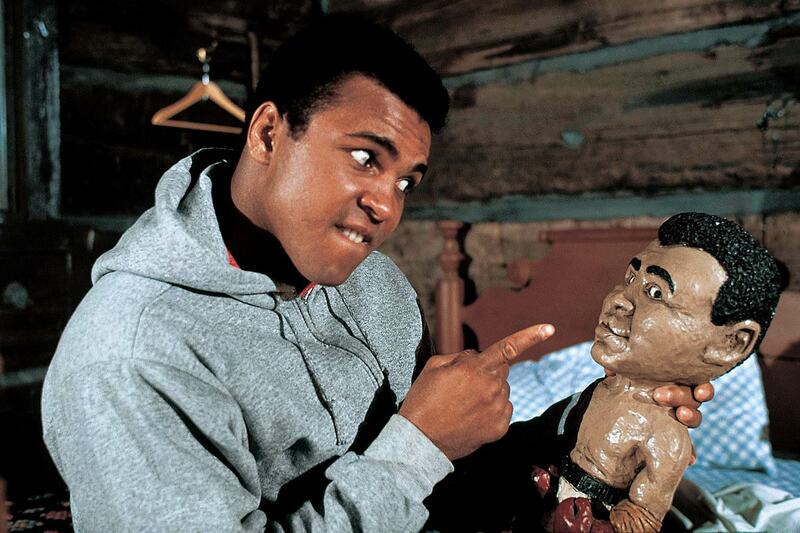 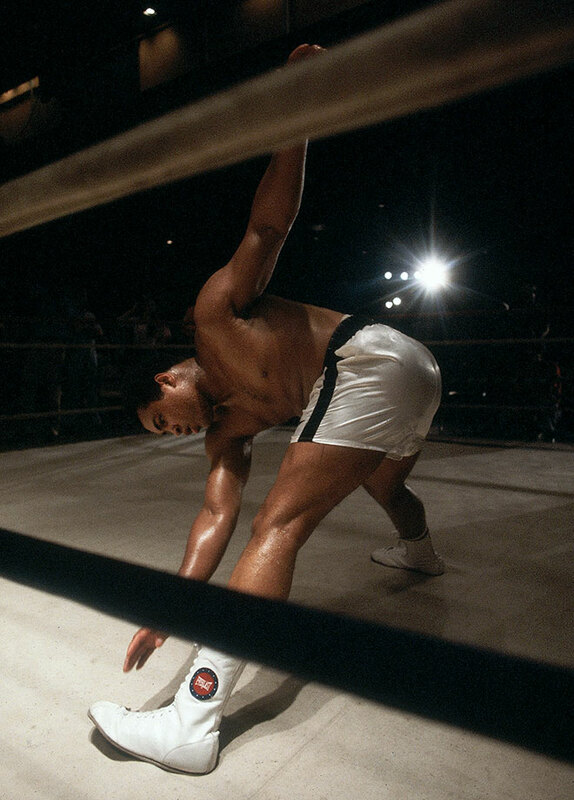 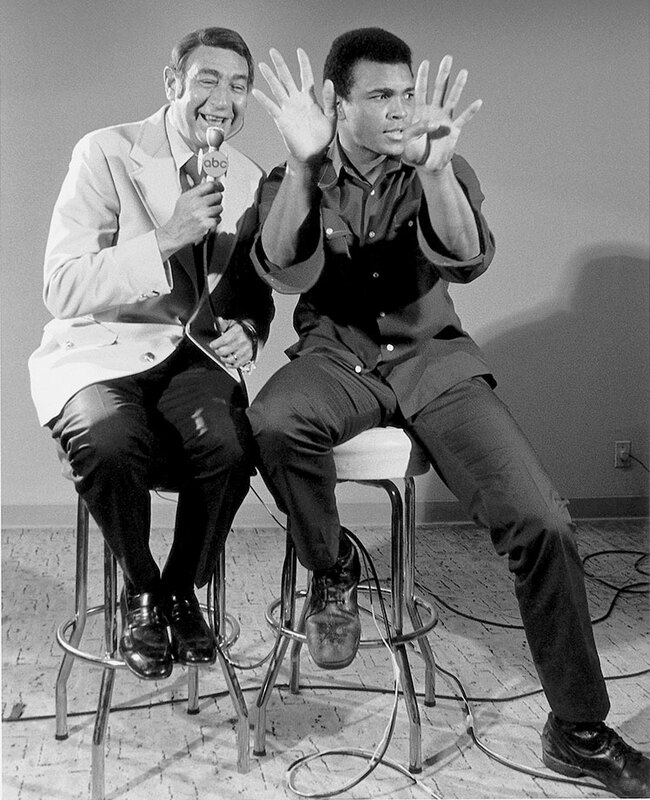 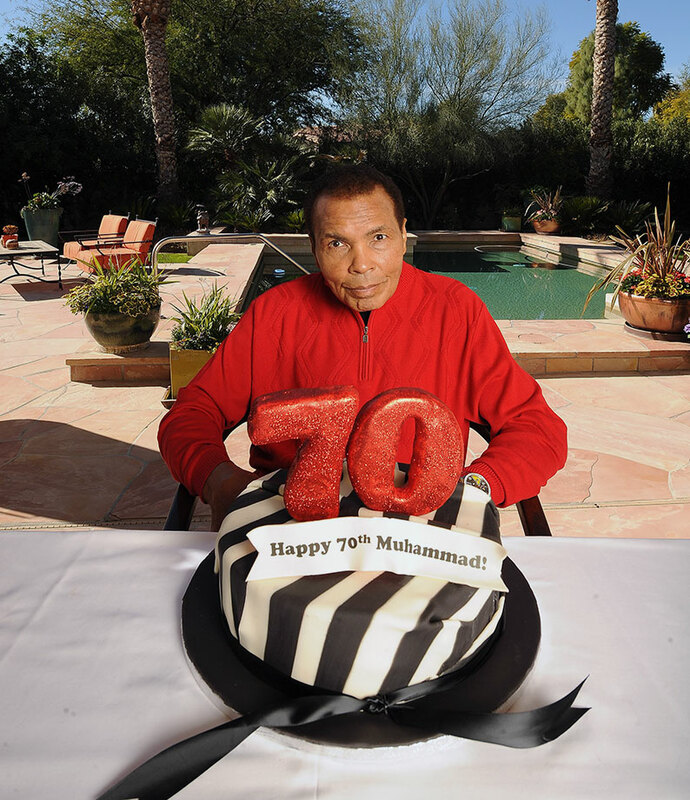 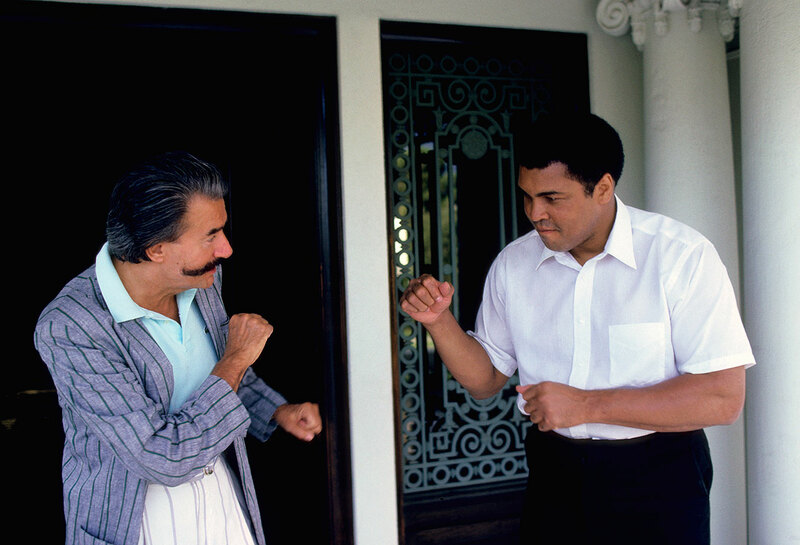 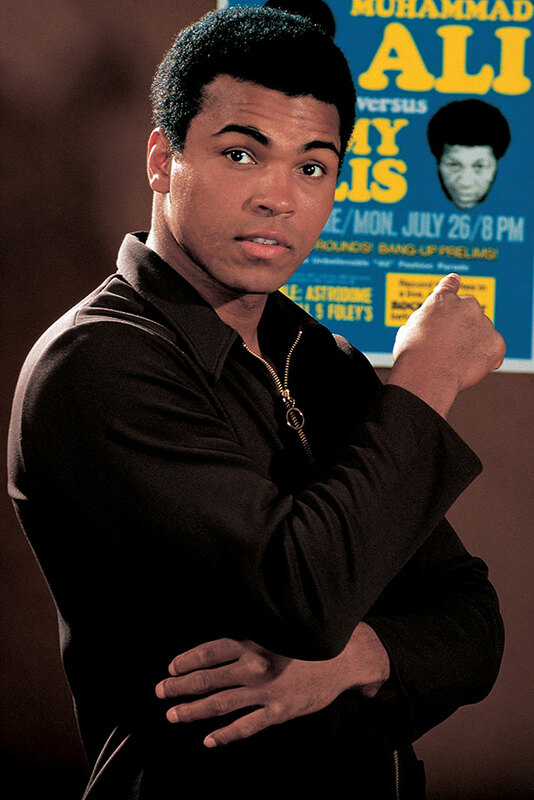 He added that Ali’s global fame paved the way for the international acclaim enjoyed by superstar athletes today. 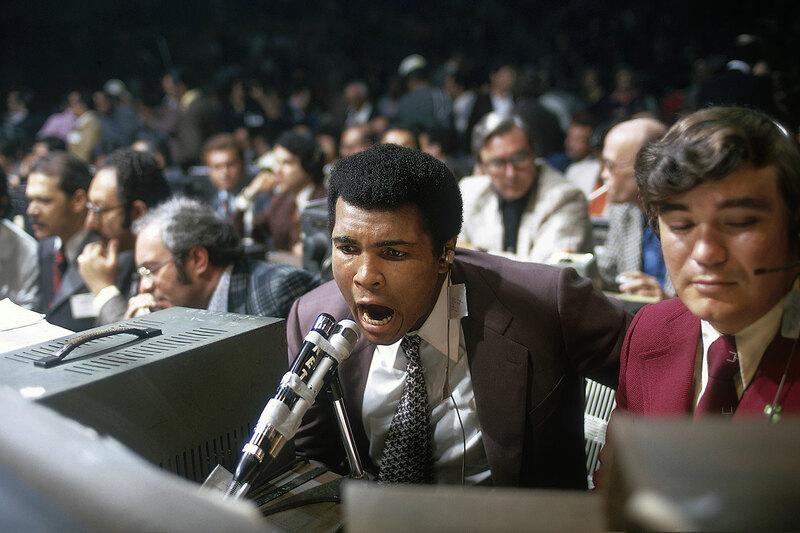 For a day, basketball took a backseat during the Finals, which the Warriors lead 1–0 after a 104-89 victory over the Cavaliers on Thursday. 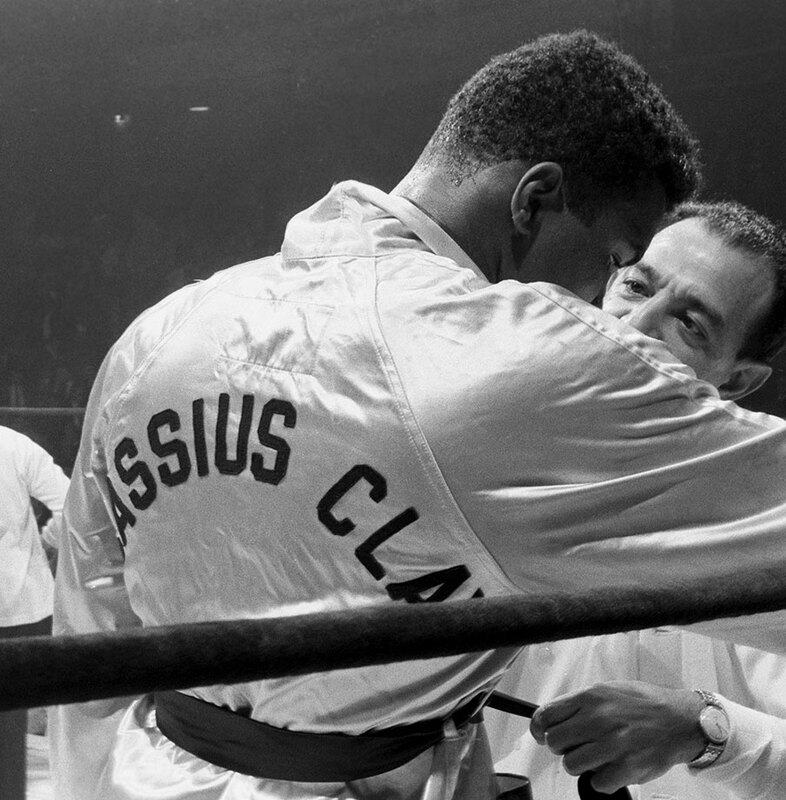 Players and coaches on both teams joined in offering their thoughts and reflections on Ali, the athlete and the icon. 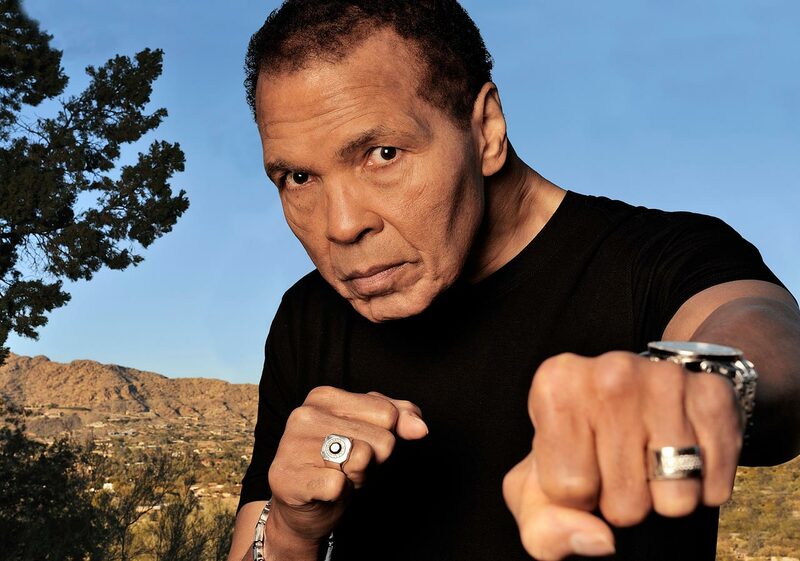 Warriors coach Steve Kerr described the “nervous” feeling he felt meeting Ali at a Suns game, adding that Golden State opened practice by playing Ali’s anthem “Catch Me If You Can” as a tribute. 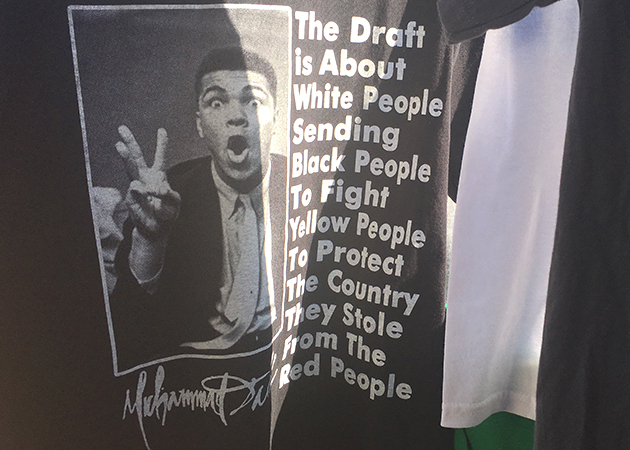 “What he did not just for African-Americans, but for all Americans in terms of trying to promote equality, in terms of really raising the level of consciousness about what was happening in the country, [he’s] probably the most influential athlete in the history of our country,” Kerr said. 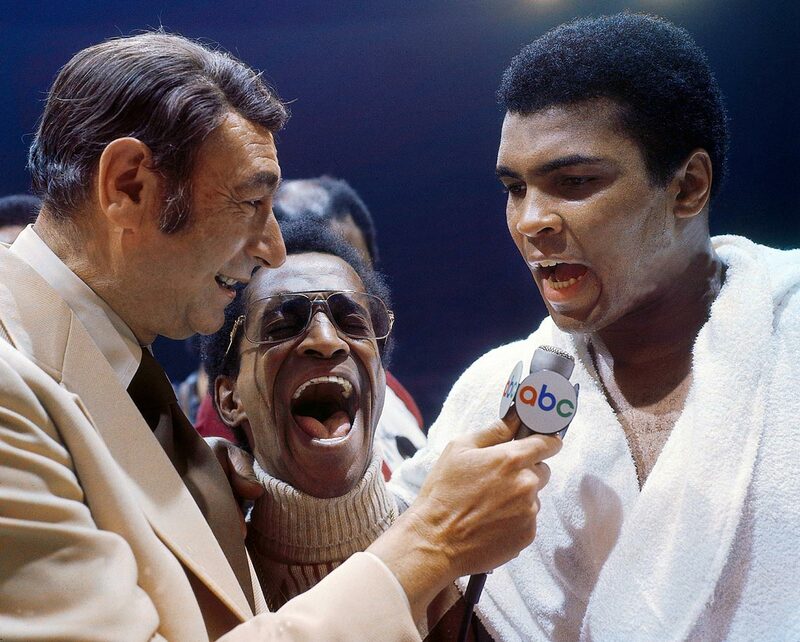 ​Golden State’s players saluted Ali’s willingness to stand up for his political beliefs, his leadership role in the black community and his brash confidence. 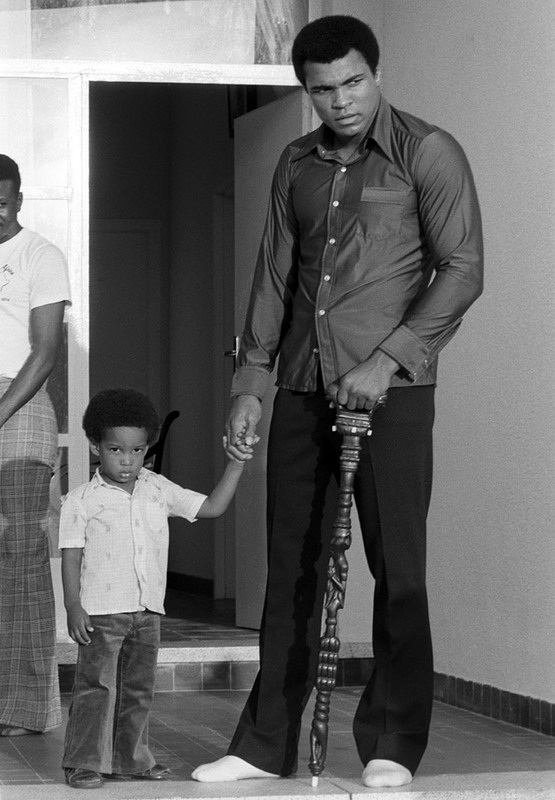 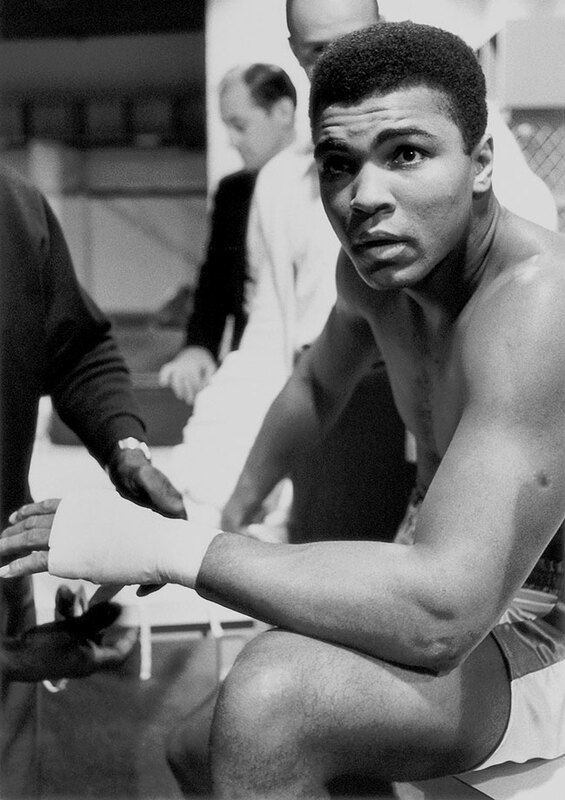 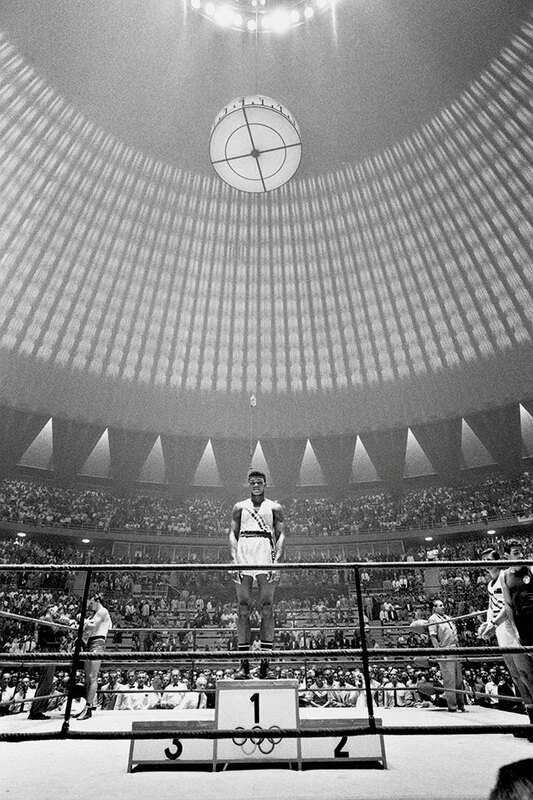 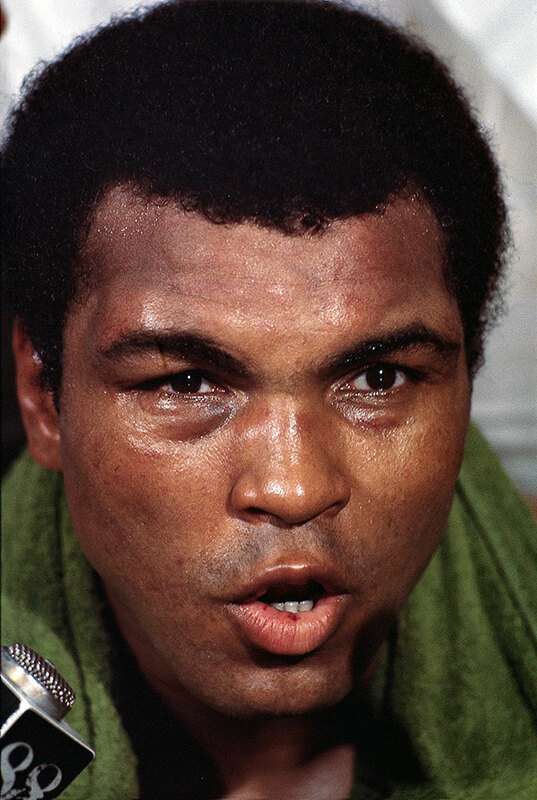 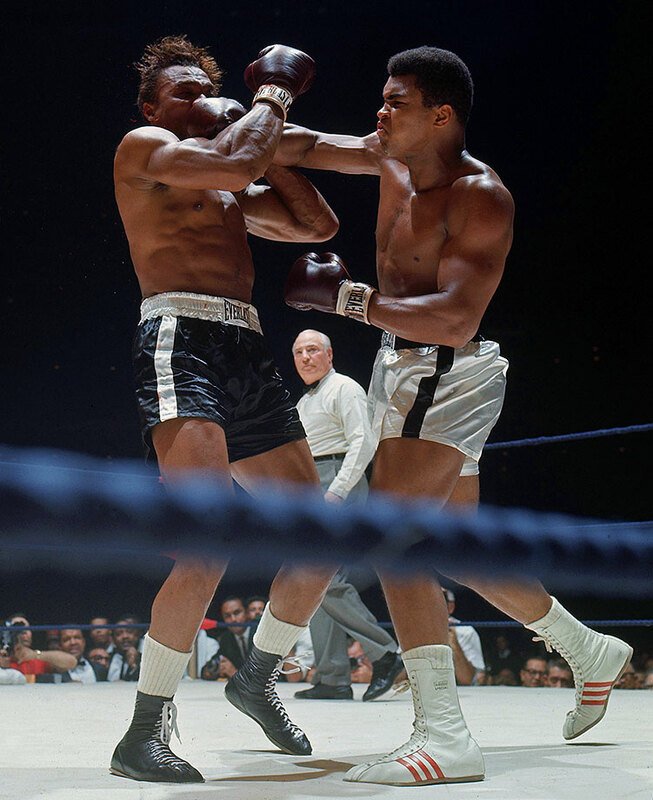 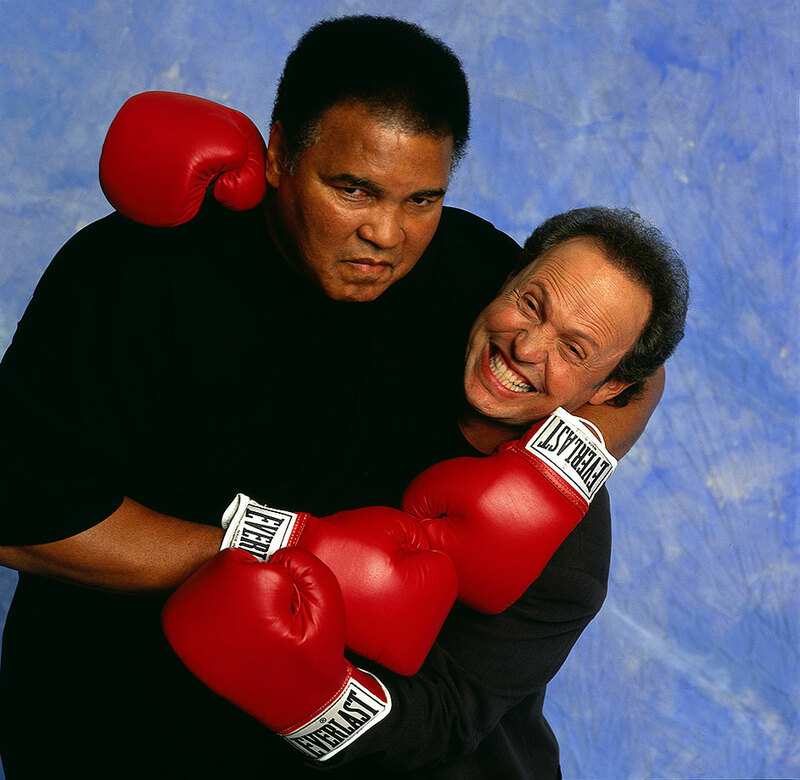 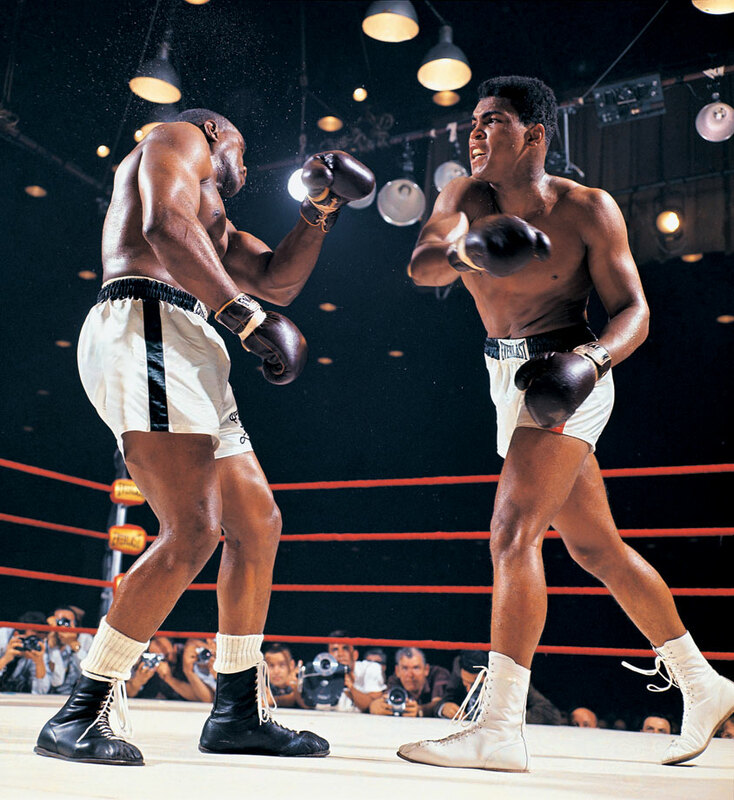 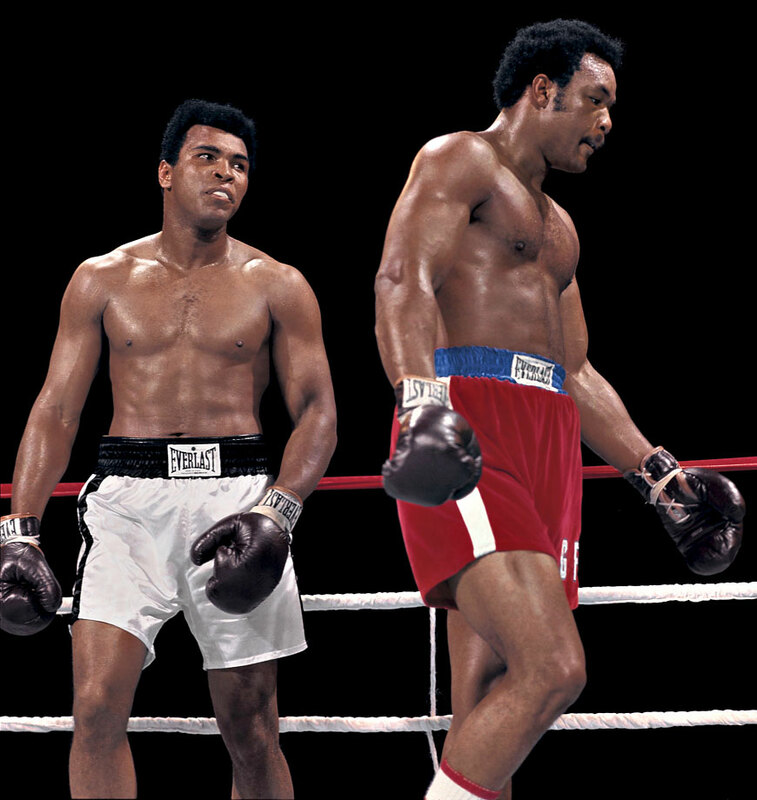 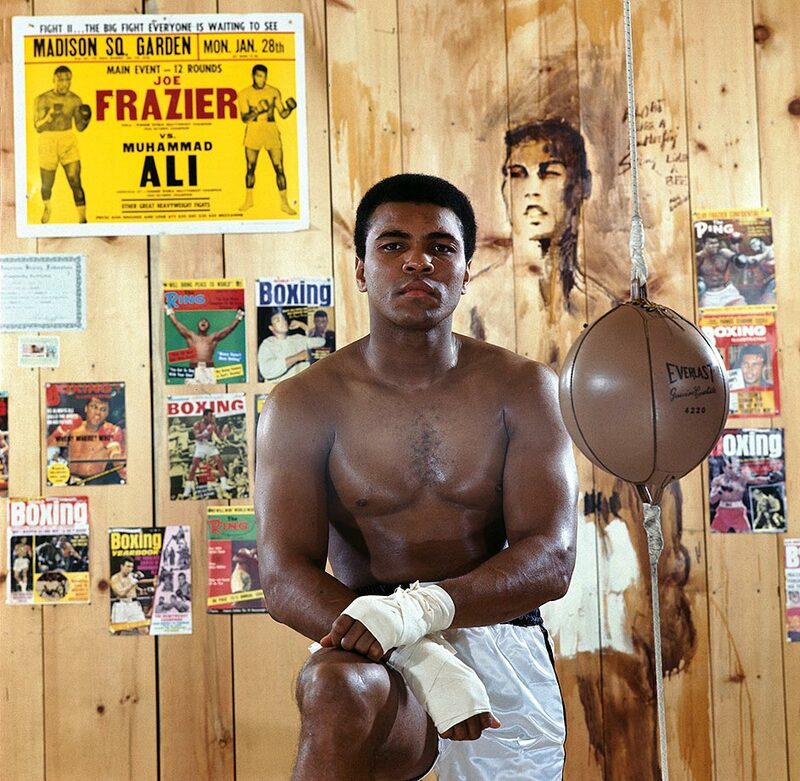 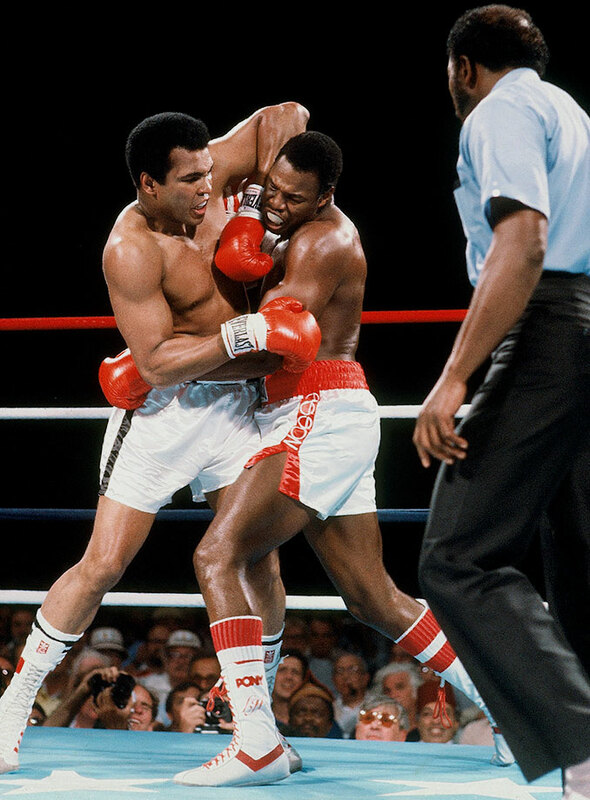 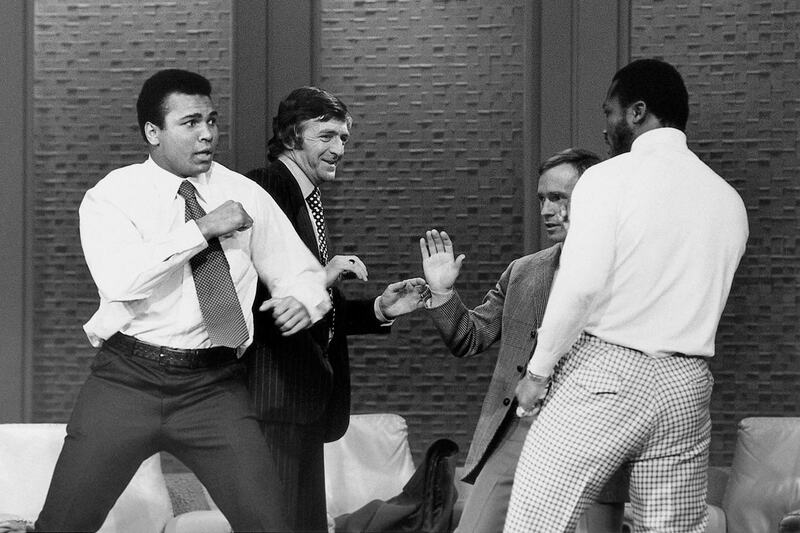 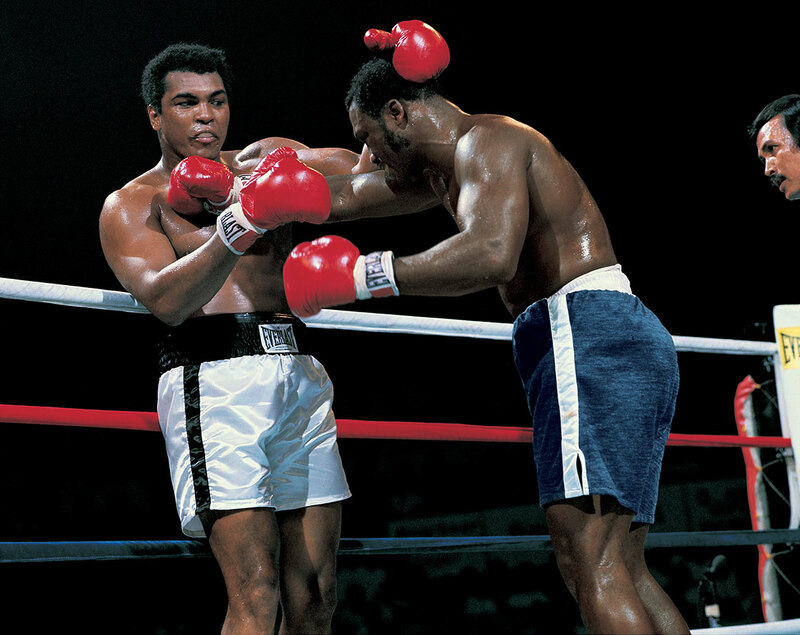 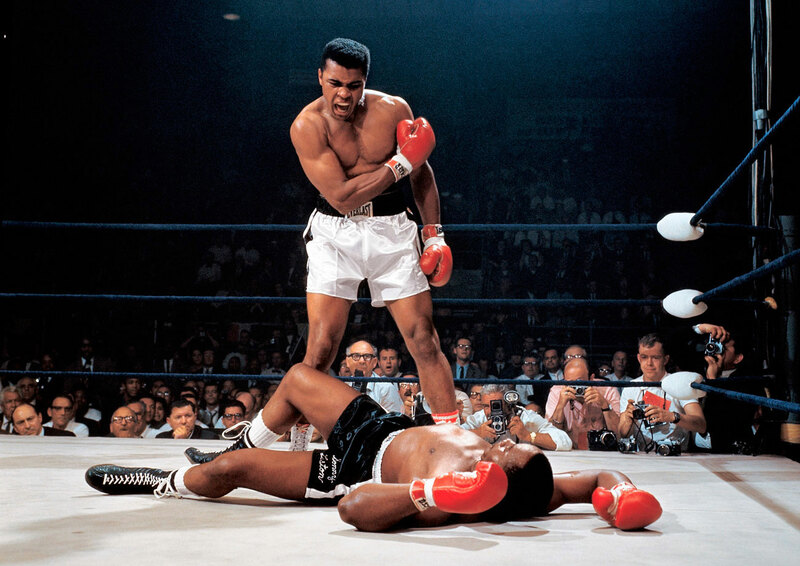 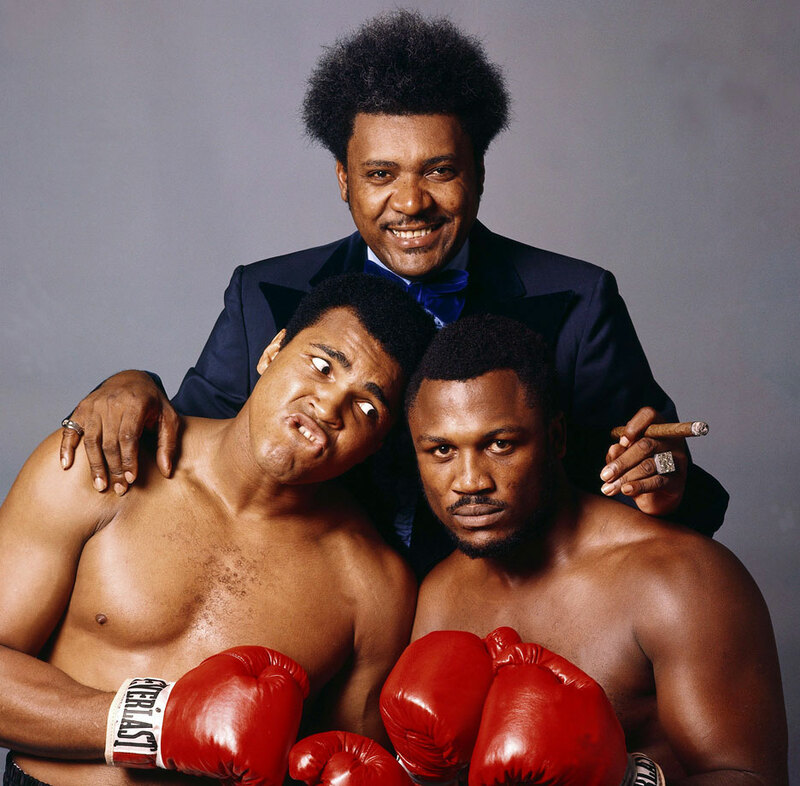 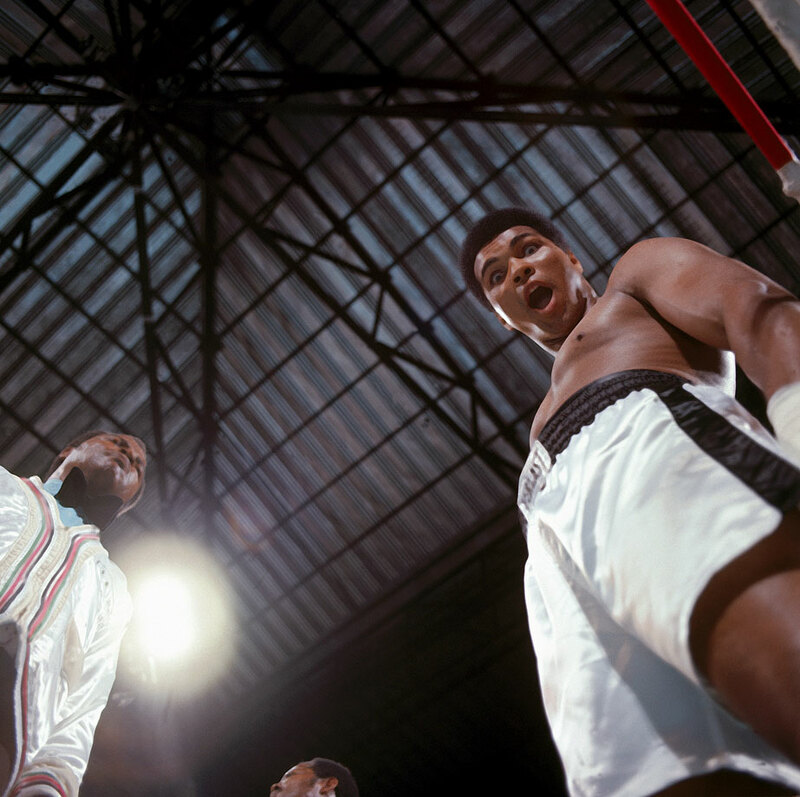 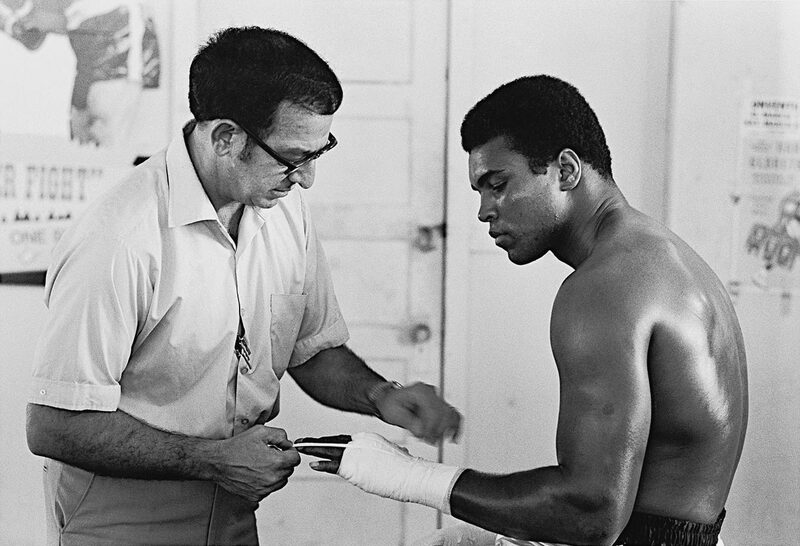 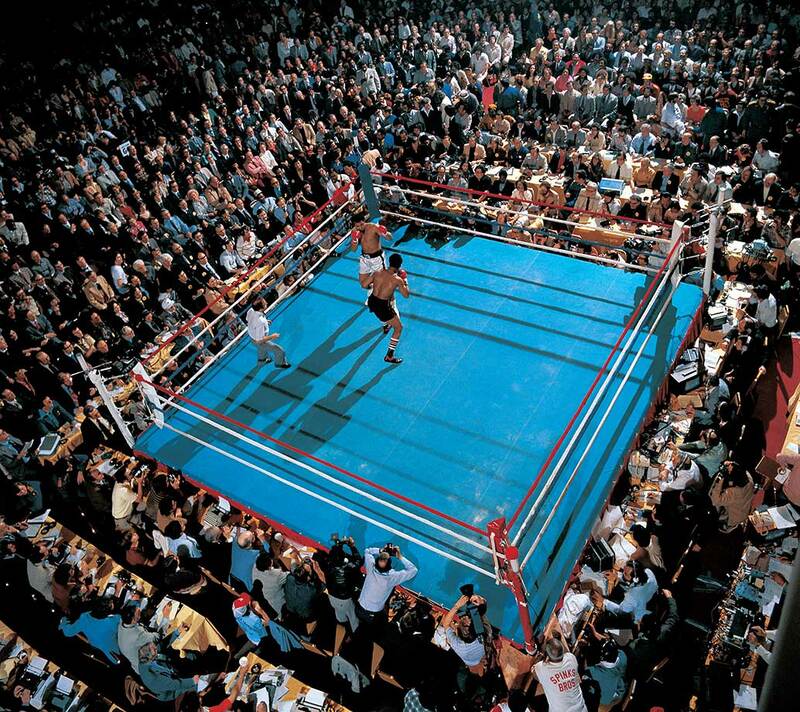 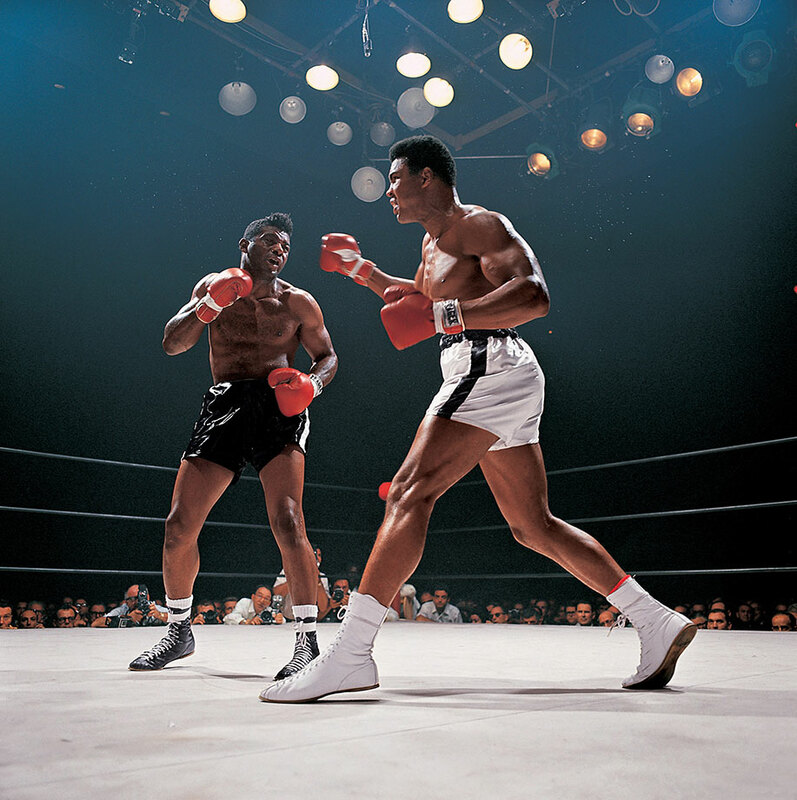 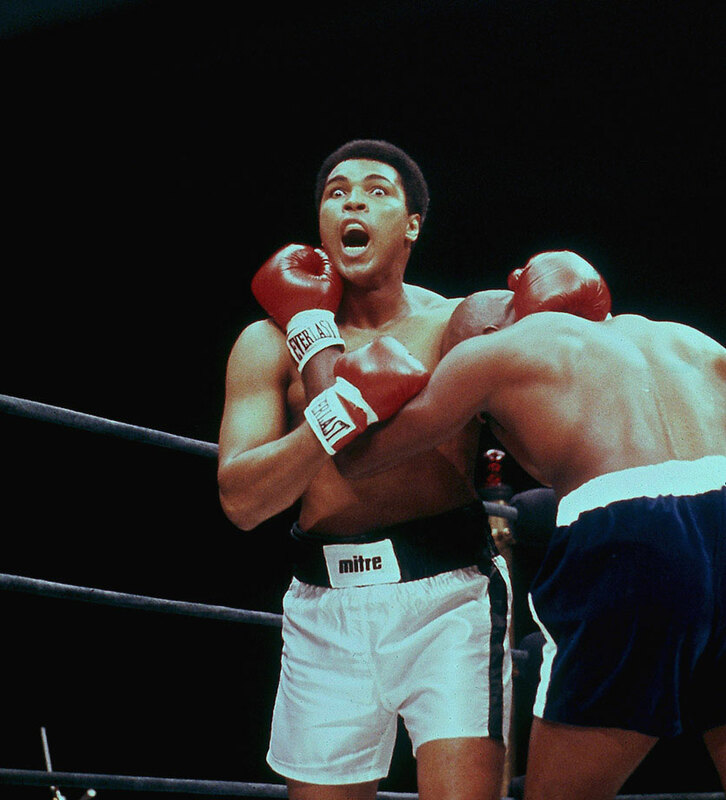 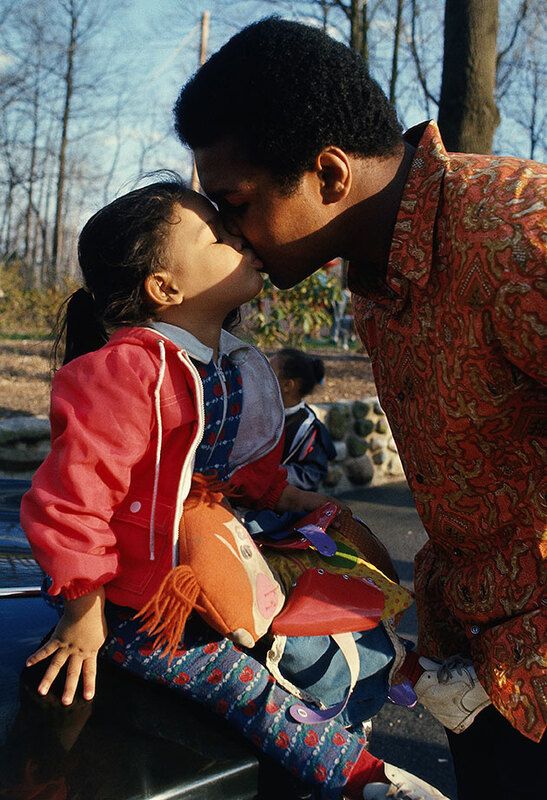 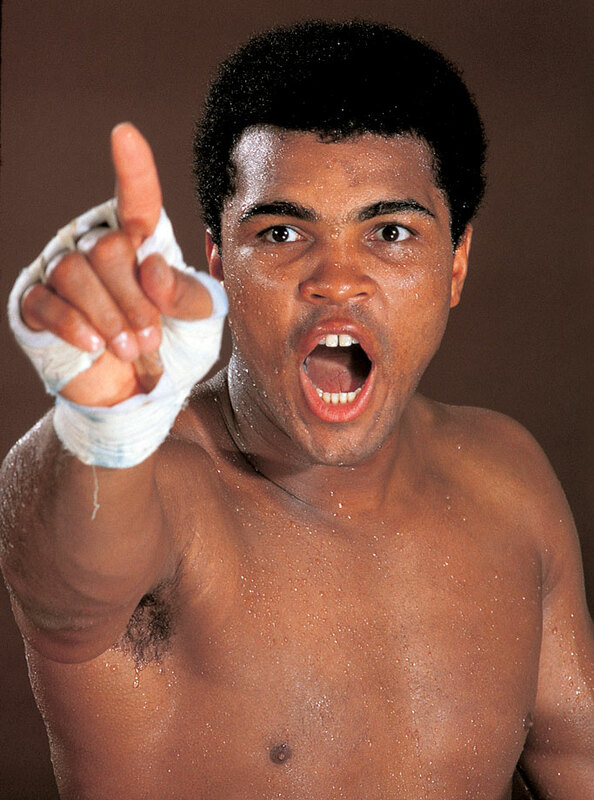 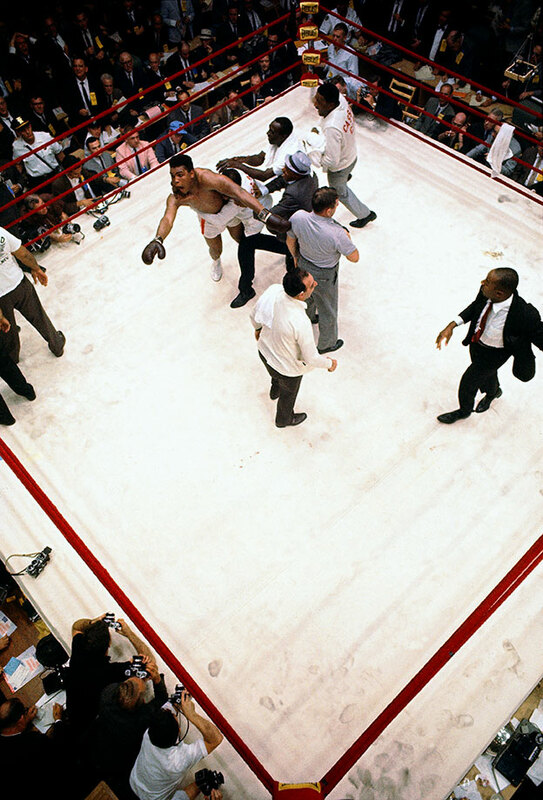 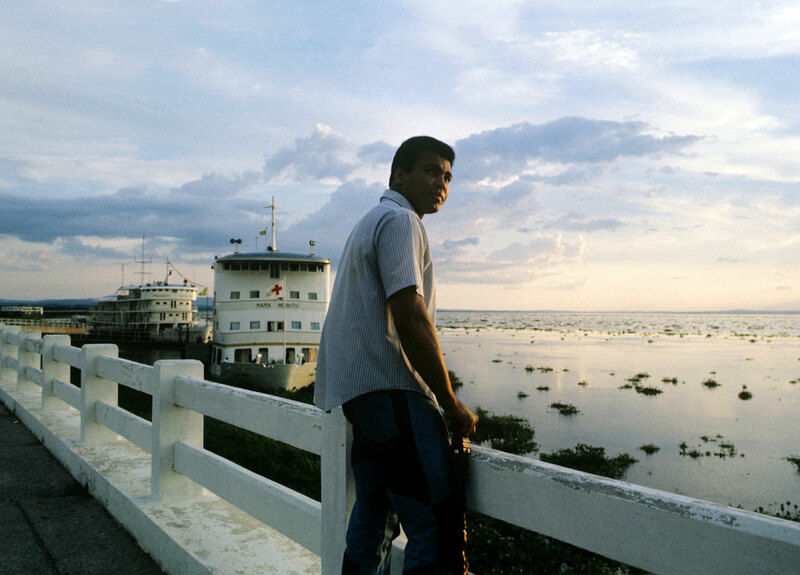 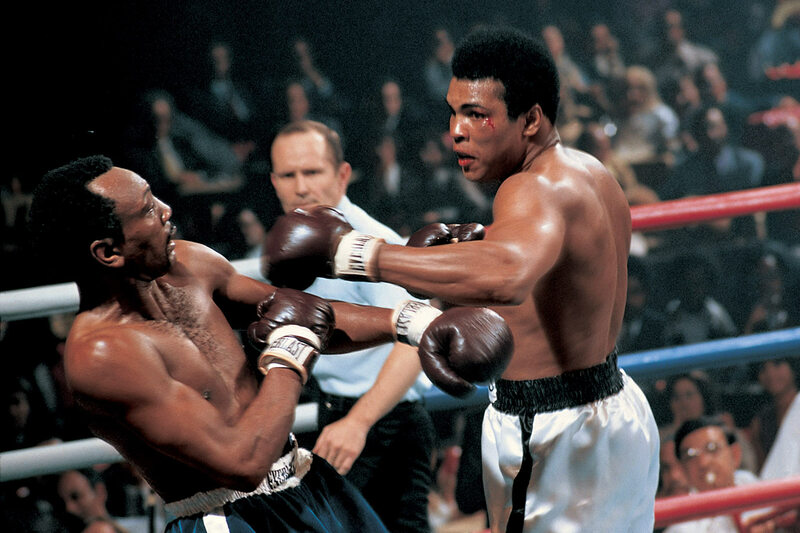 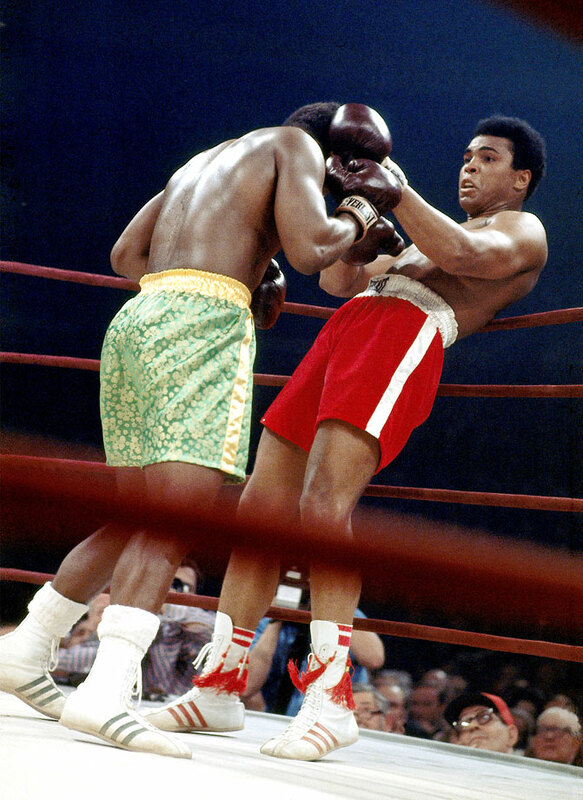 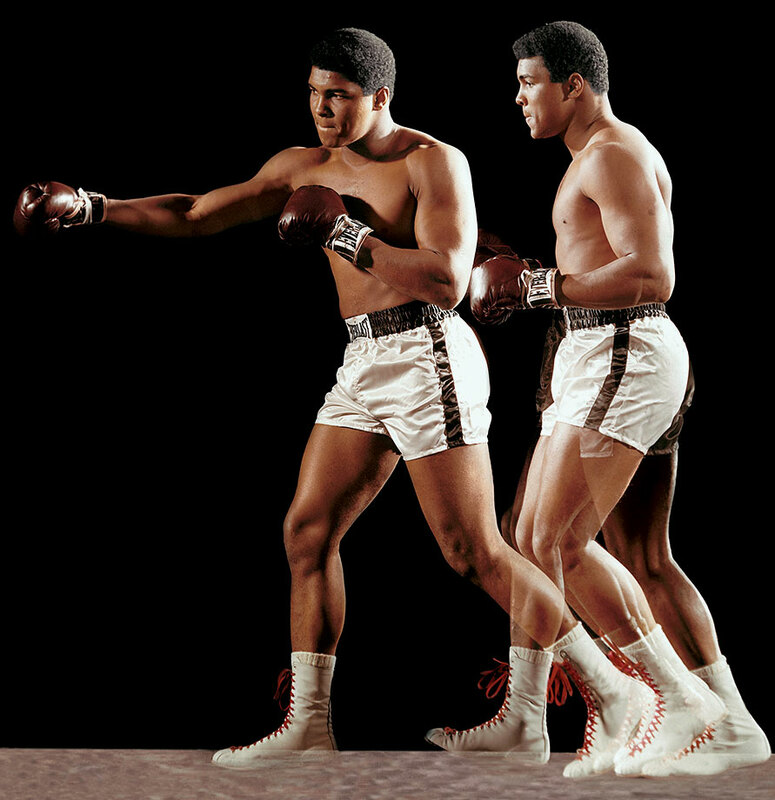 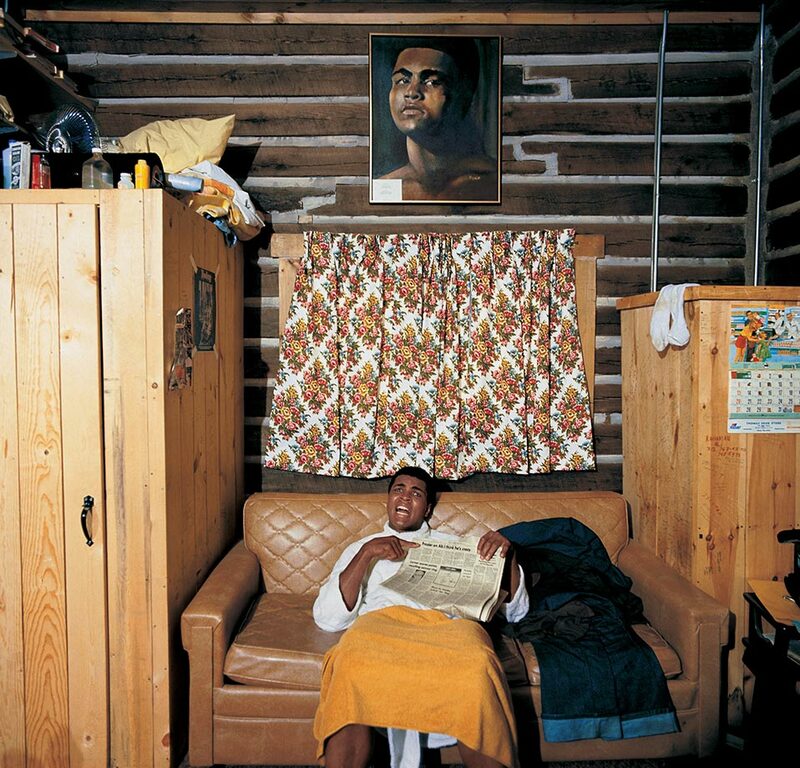 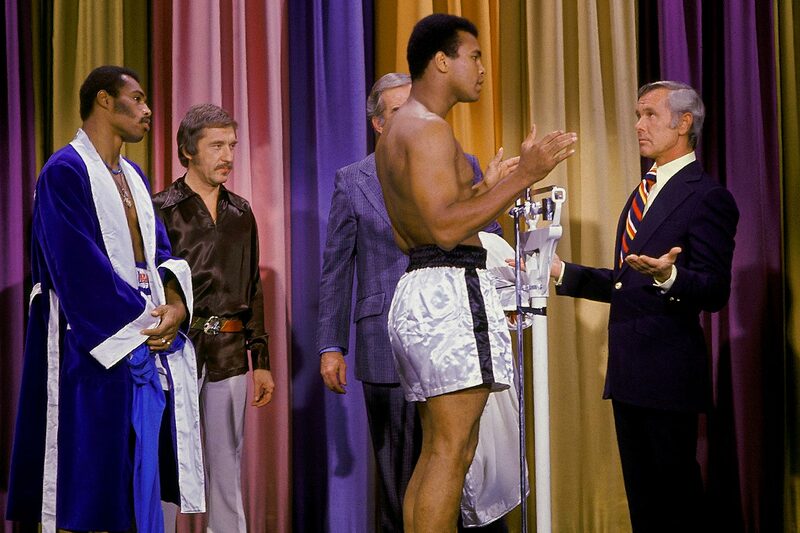 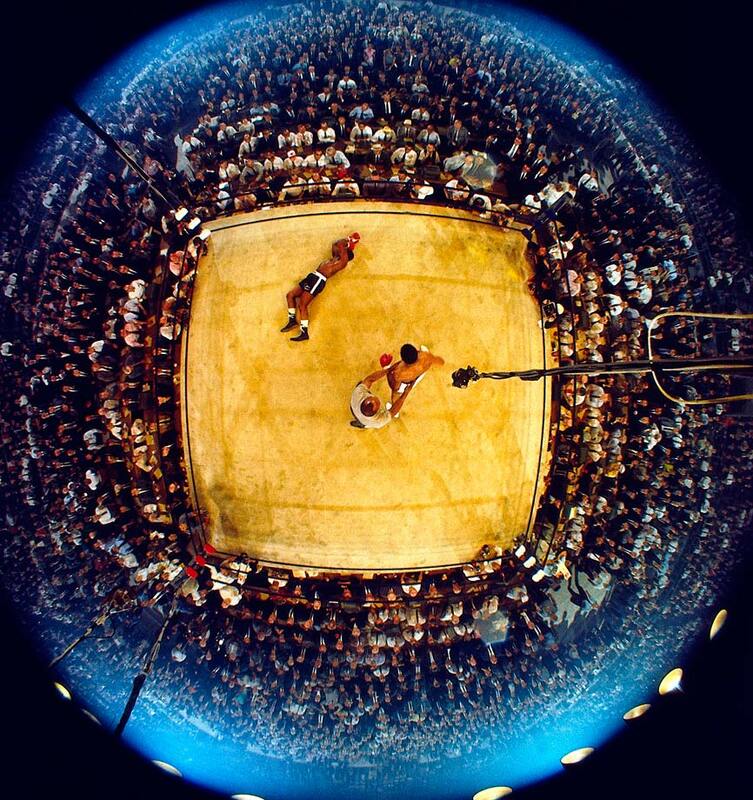 Andre Iguodala marveled at Ali’s opposition to the Vietnam War and the draft, which kept Ali out of the ring from 1967–70 and led to his arrest. 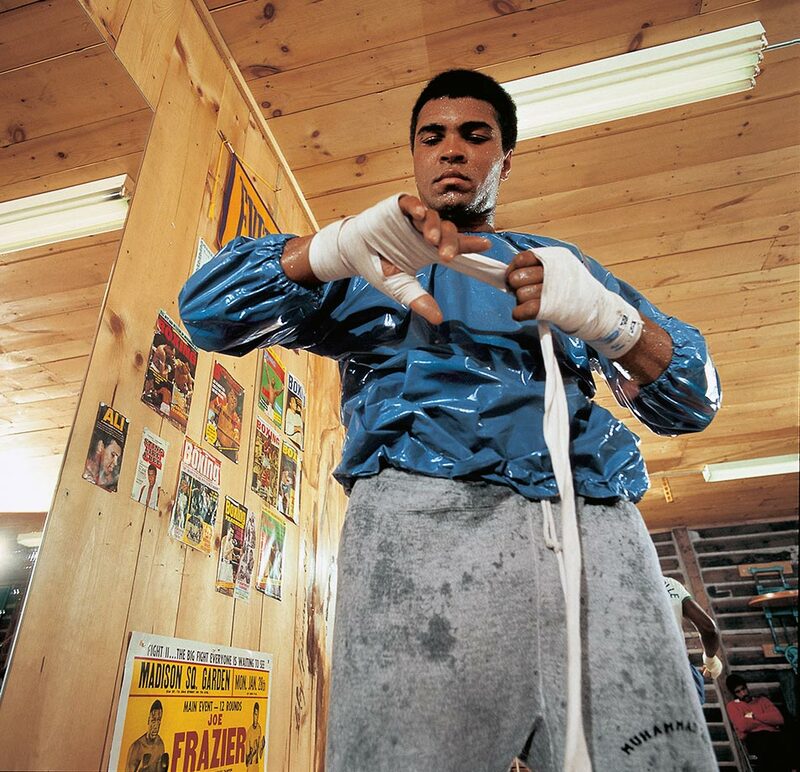 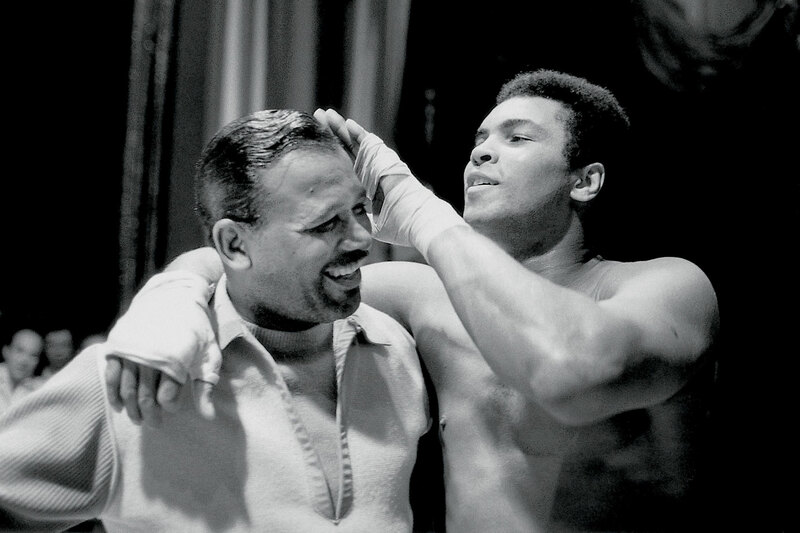 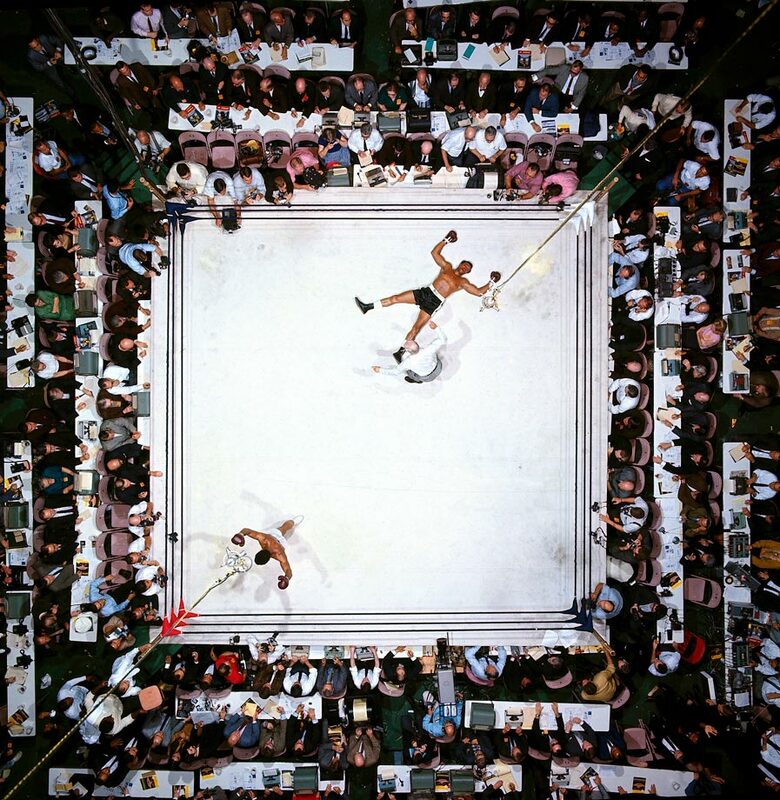 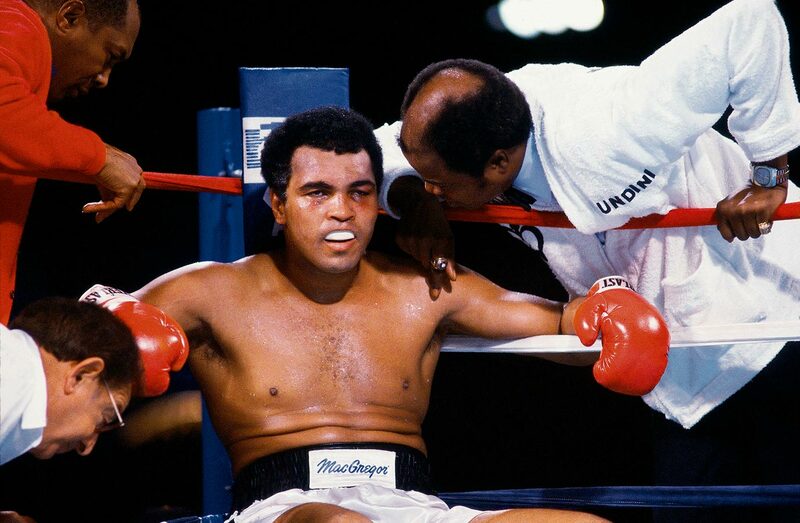 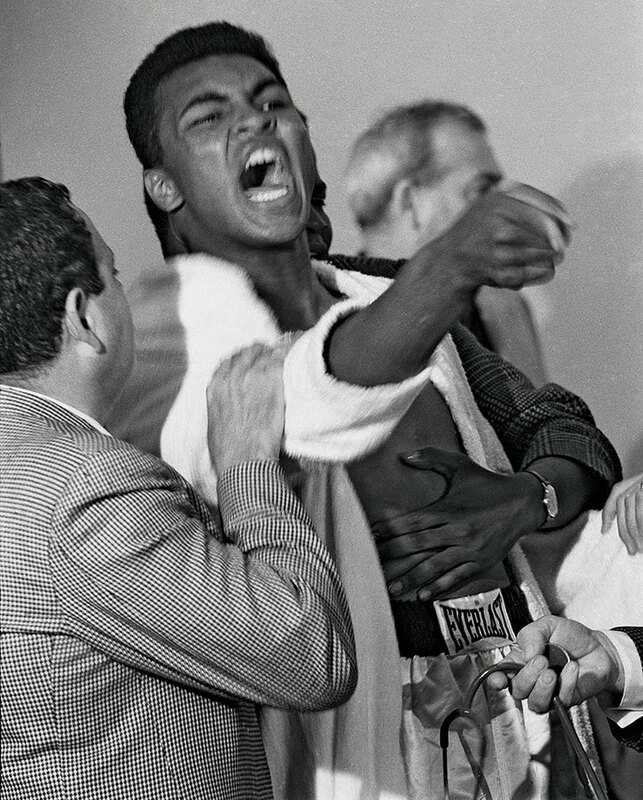 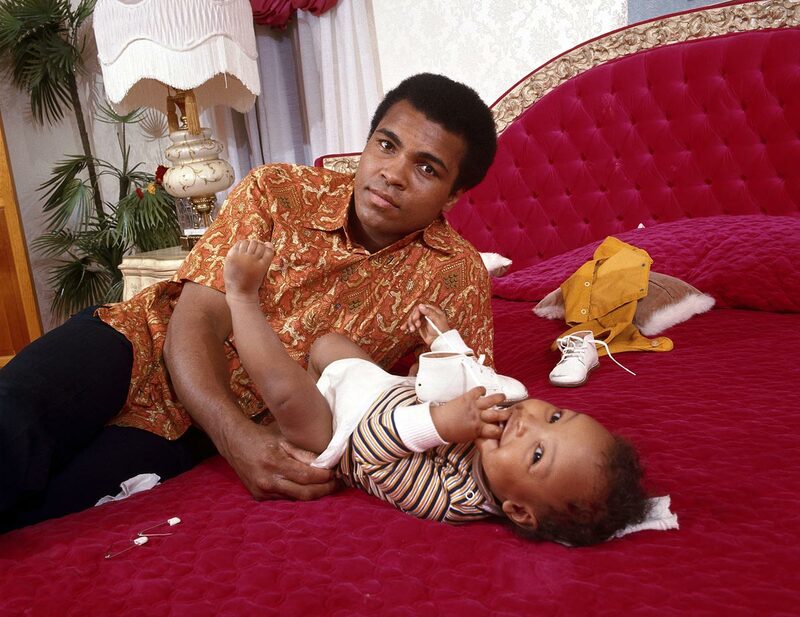 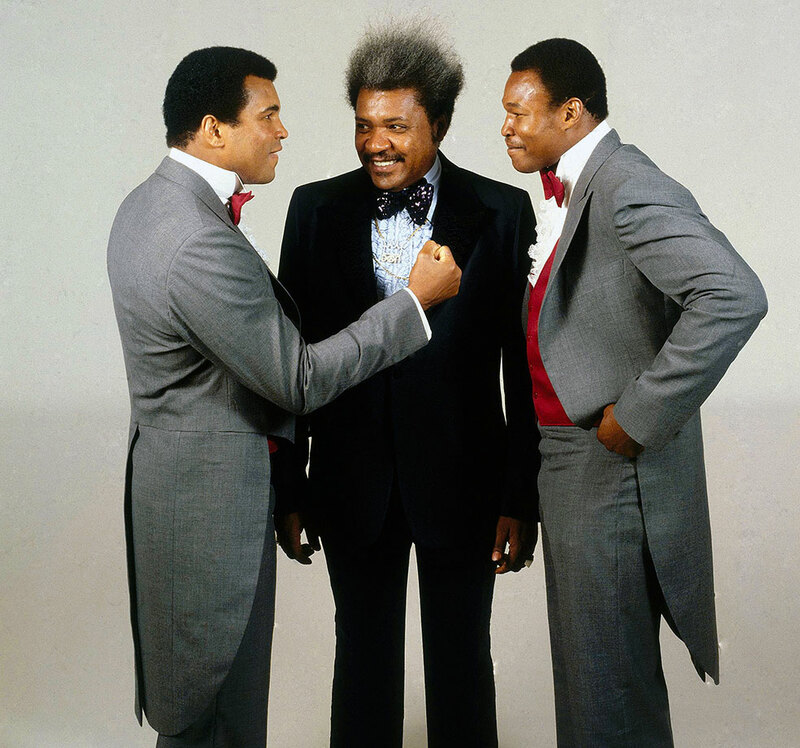 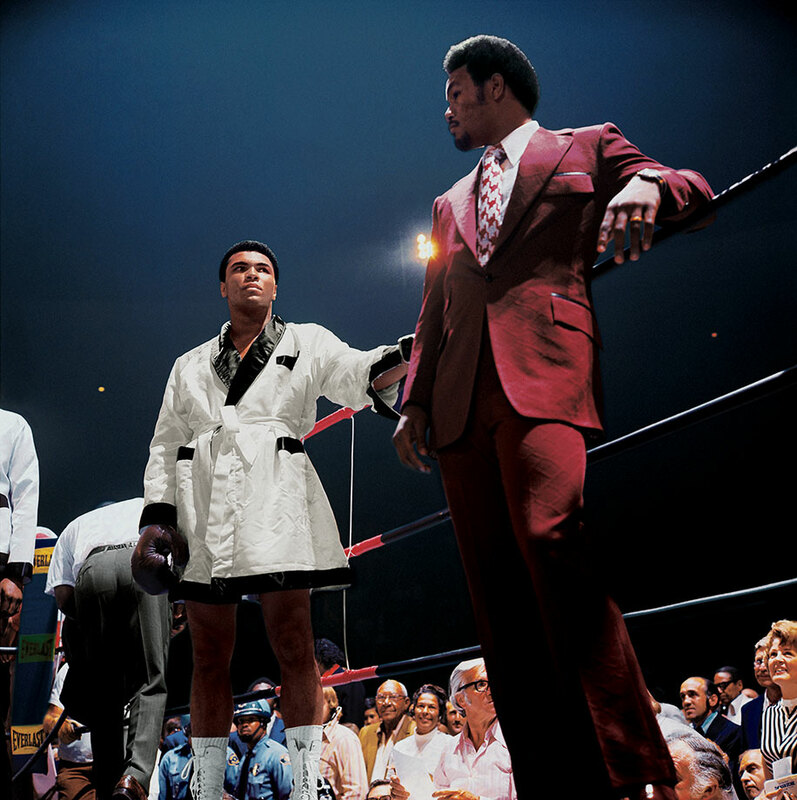 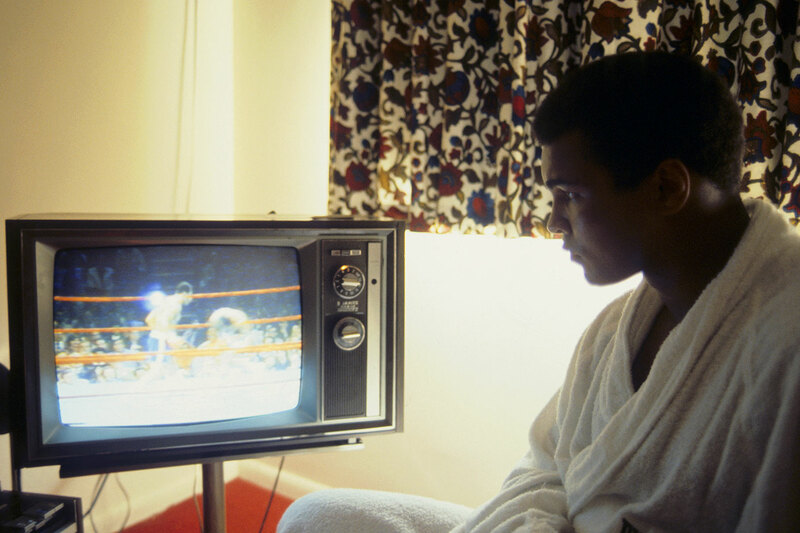 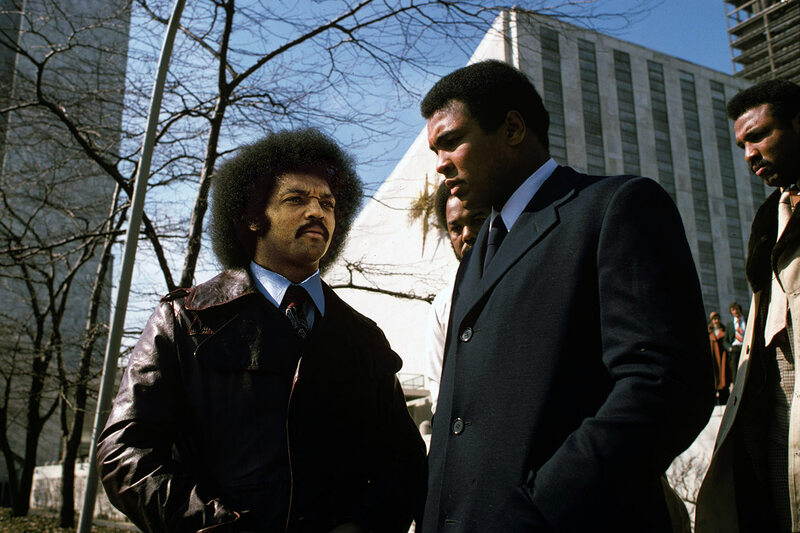 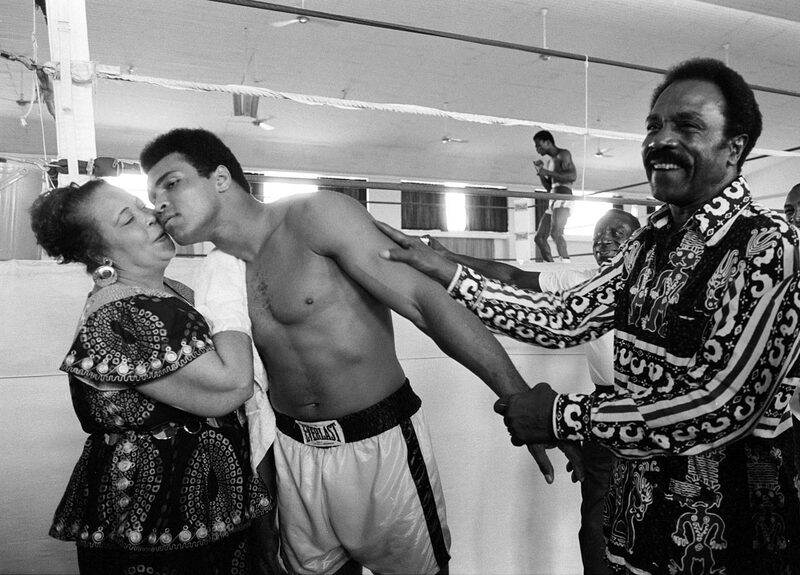 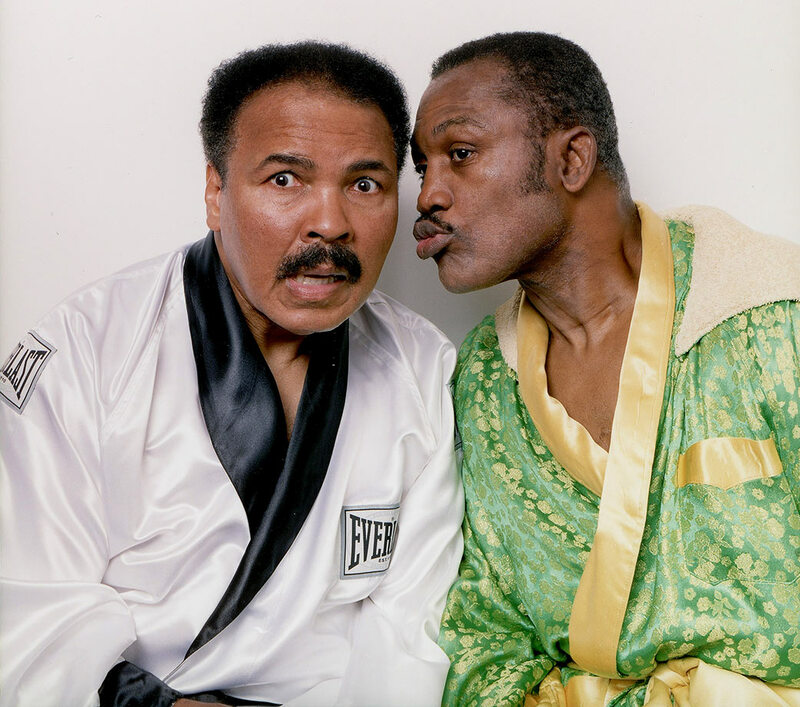 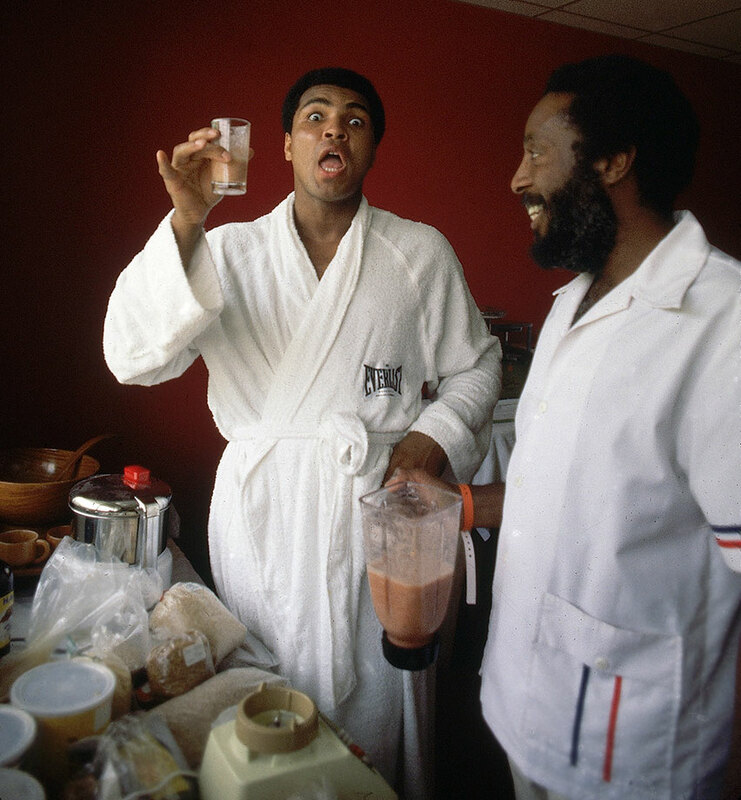 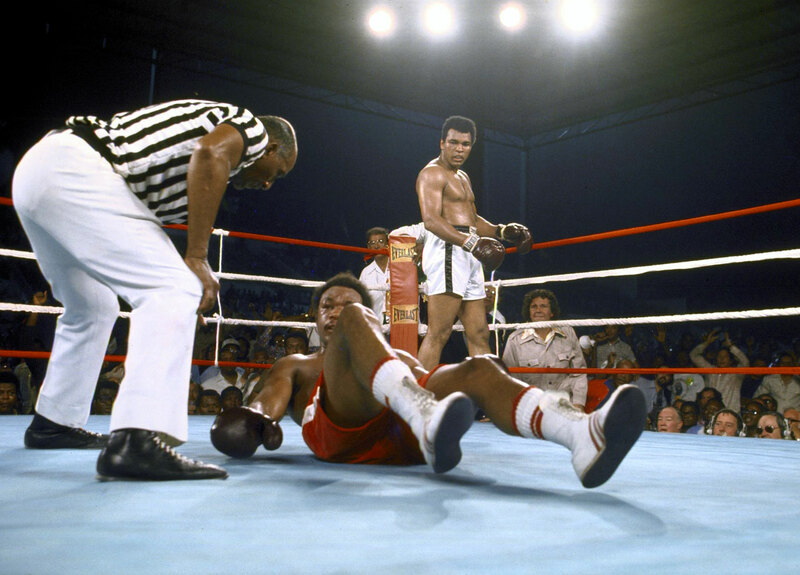 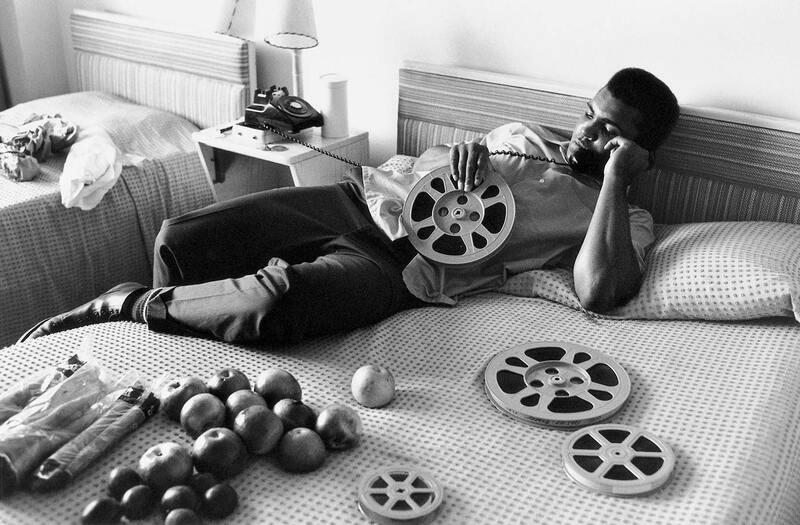 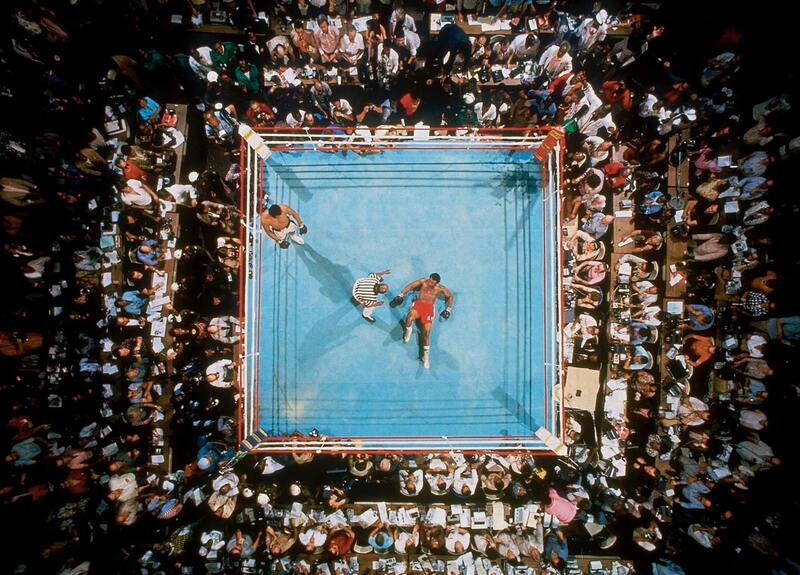 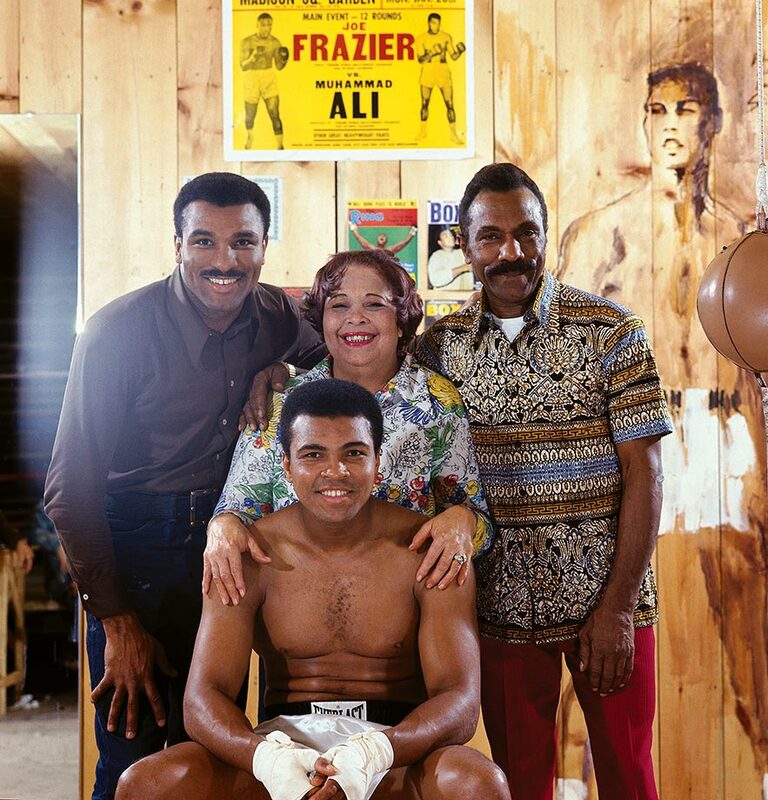 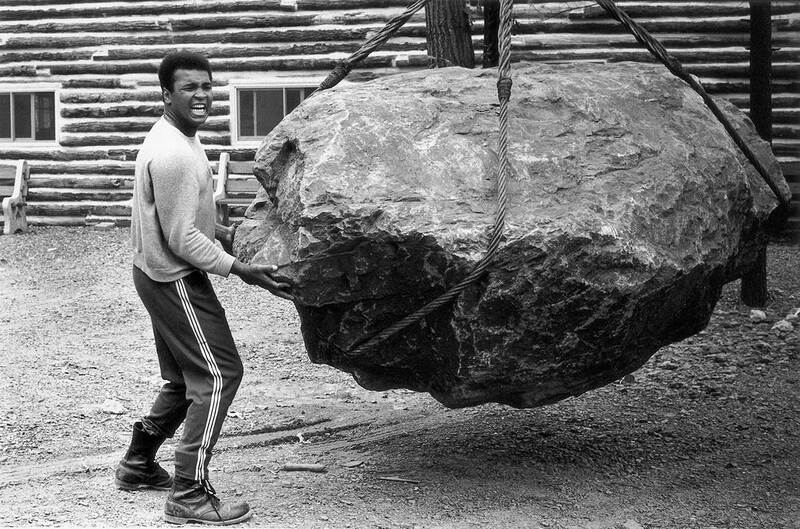 Ali cultivated relationships with NBA stars from Bill Russell and Wilt Chamberlain, to Kareem Abdul-Jabbar, to Magic Johnson and Michael Jordan, to James. 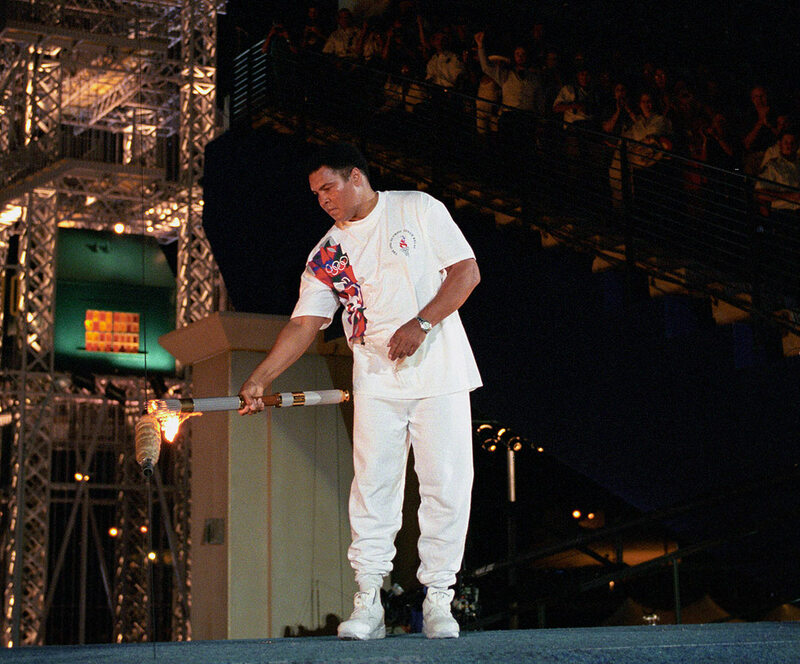 Photographs show him interacting with Dream Team II during the 1996 Atlanta Olympics, where he lit the torch, and sitting courtside at the All-Star Game. 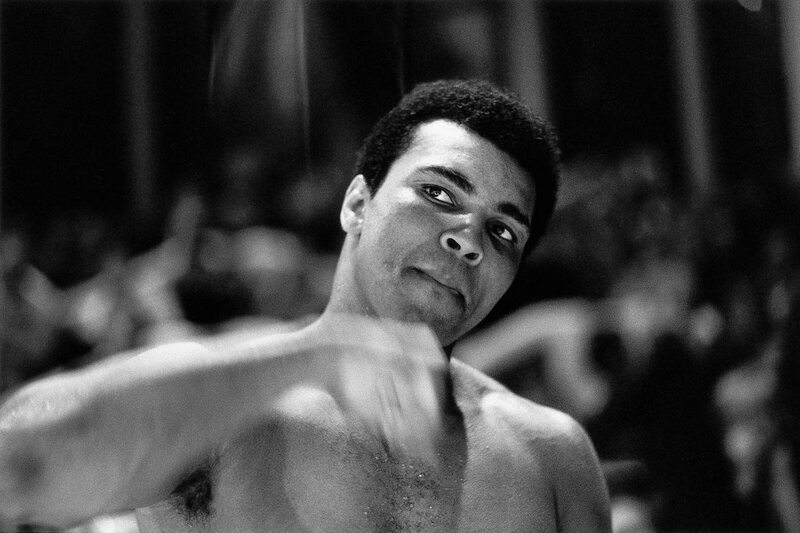 NBA commissioner Adam Silver issued a statement on Saturday morning in response to Ali’s passing.